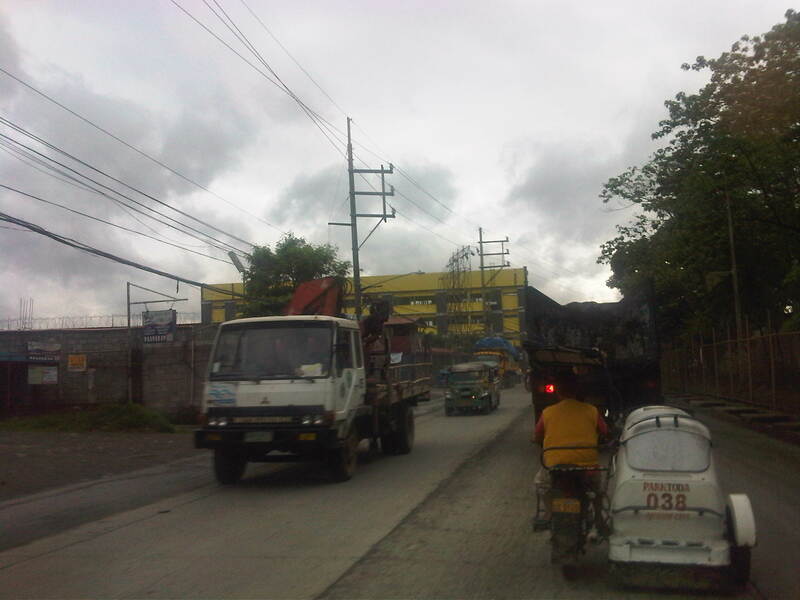 We traveled along the section of Payatas Road from the junction with Montalban Highway to the intersection with the Manila Gravel Pit Road. 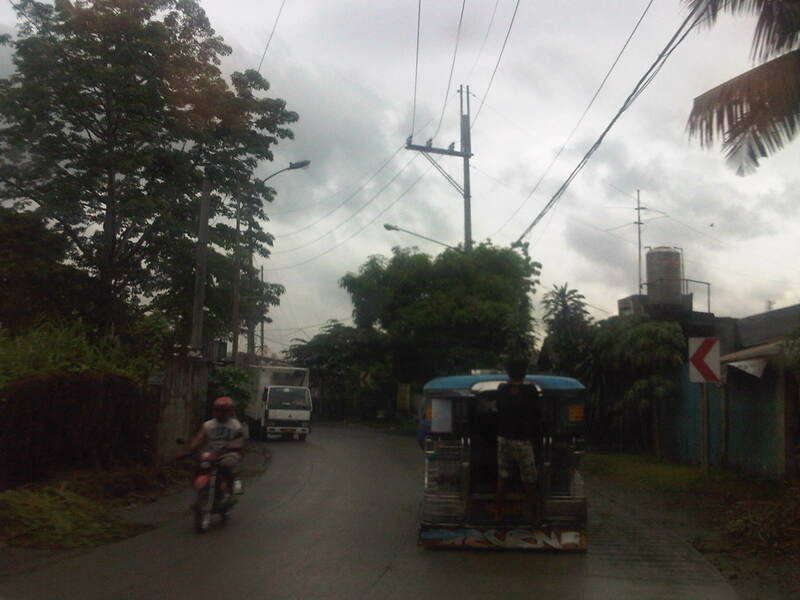 A significant length of the road had the La Mesa watershed, Metro Manila’s main source of fresh water, along its right. This was an issue before and is still an issue today as more and more developments are made along the road with some already having impacts on the watershed due to encroachments, irresponsible waste disposal and other activities. 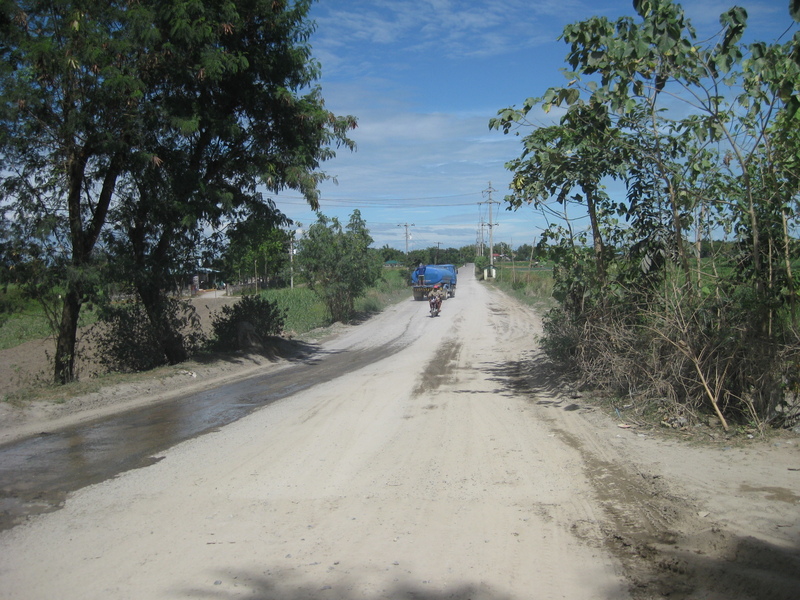 The following photos show various sections of the Payatas Road from its junction with Montalban Highway to the point it becomes the Gravel Pit Road (also known as Litex Road). 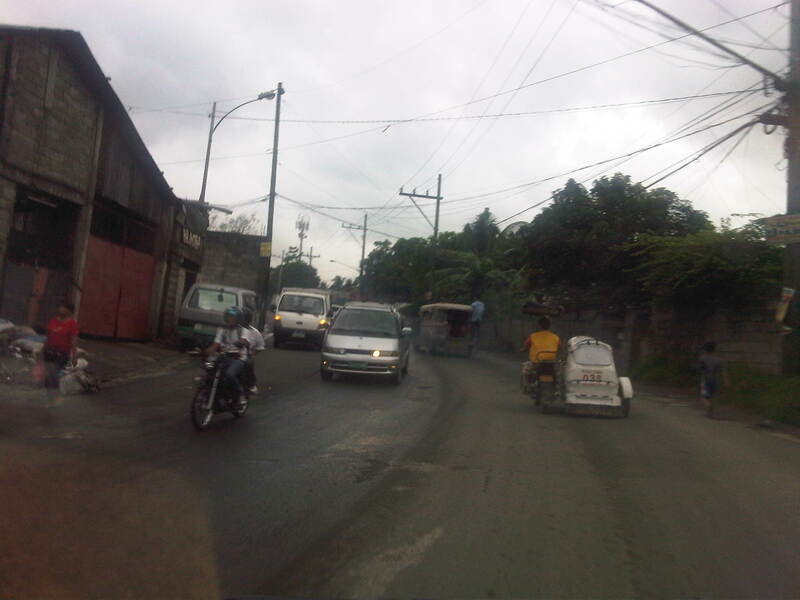 The photos clearly show the road and roadside conditions of this important link between Metro Manila and Rizal Province. 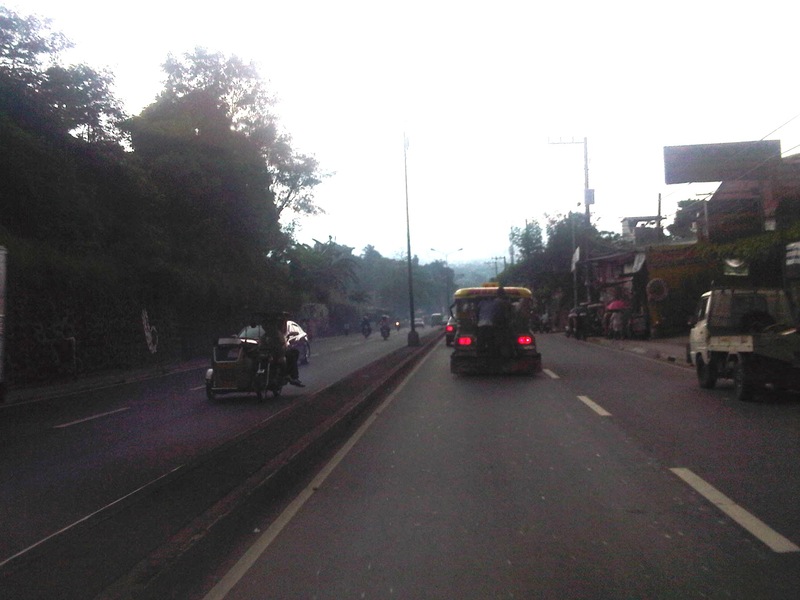 A few hundred meters away, travelers begin to climb towards Quezon City view a few picturesque areas along the road. 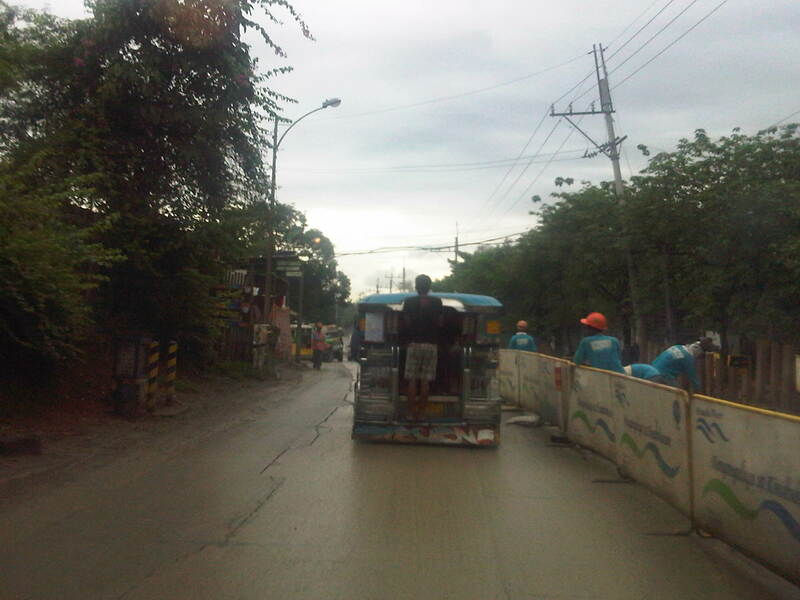 The tarpaulin sign on the left indicates an ongoing roadworks project by the DPWH. 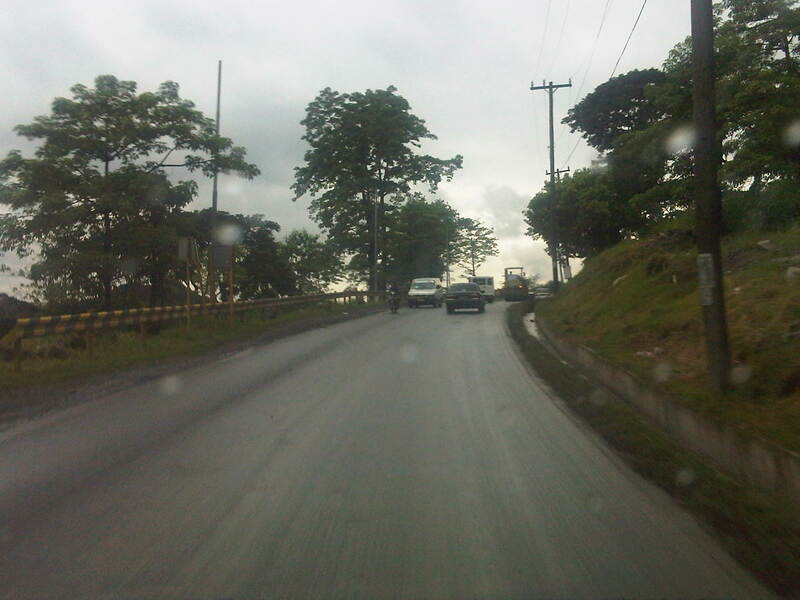 The canal on the inner side of the road keeps water off the carriageway, making the surface safer for motorists. 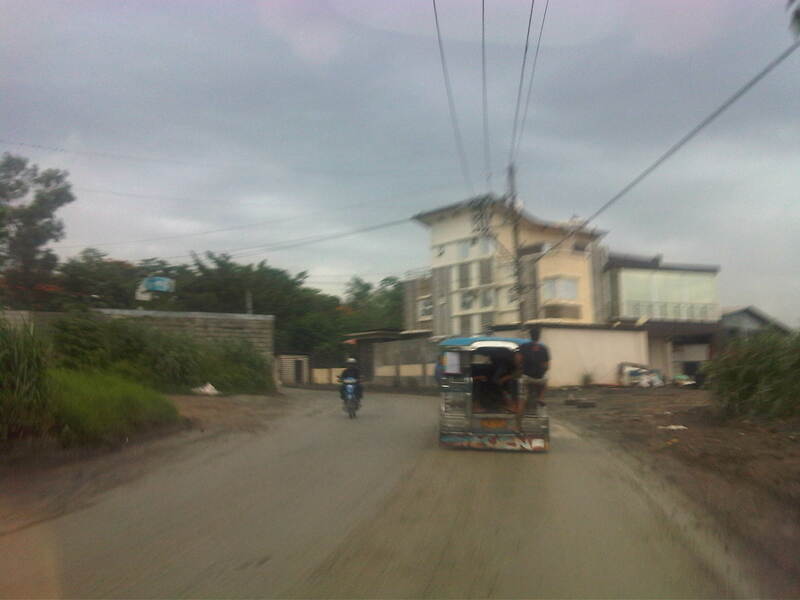 These though are not easily seen at night-time without proper pavement markings and lights. 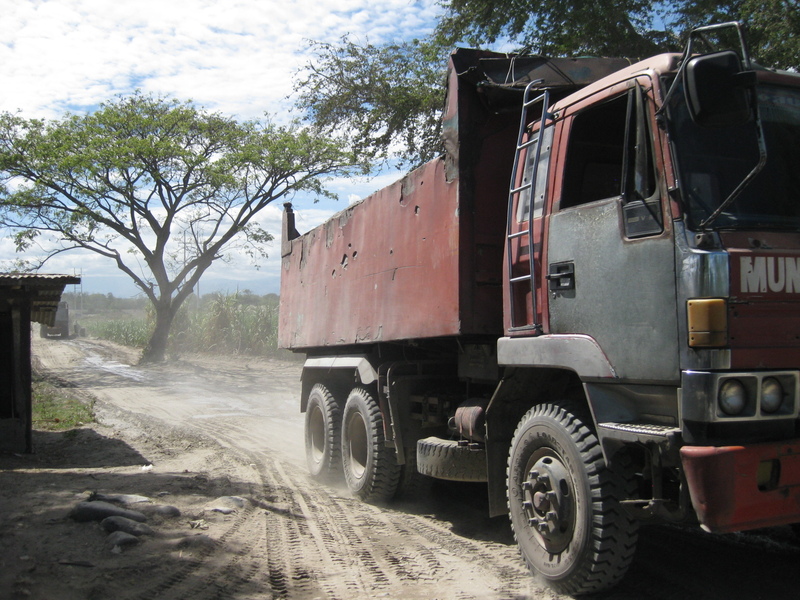 There were roadworks ongoing along the road as we ascended and heavy equipment like the one shown in the photo tend to constrict traffic flow. 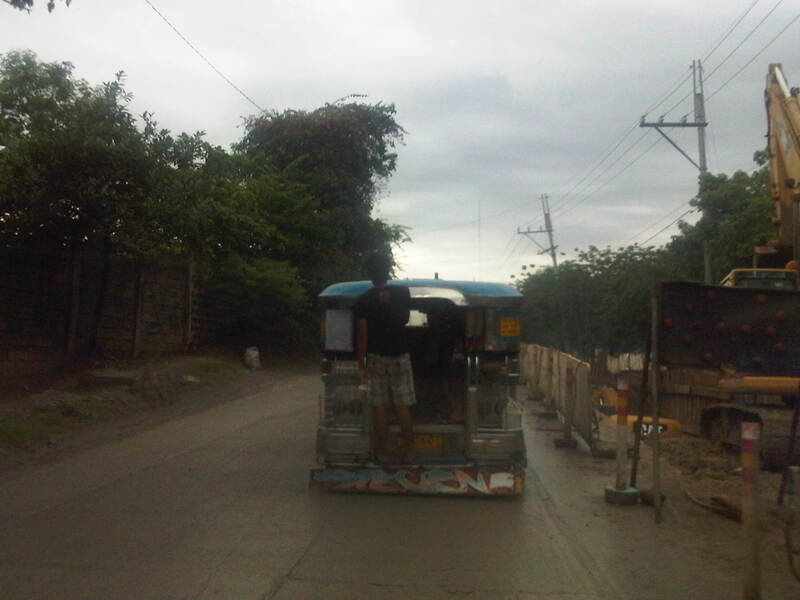 Going up the road, we became part of a platoon of vehicles whose speed was dictated by the road conditions. 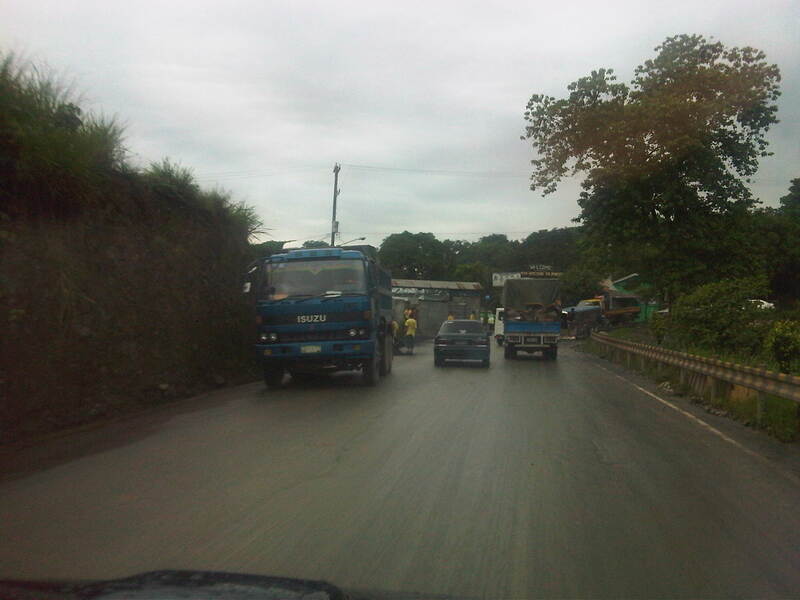 Trucks are usually the slower moving vehicles and will often dictate speeds on the ascent. 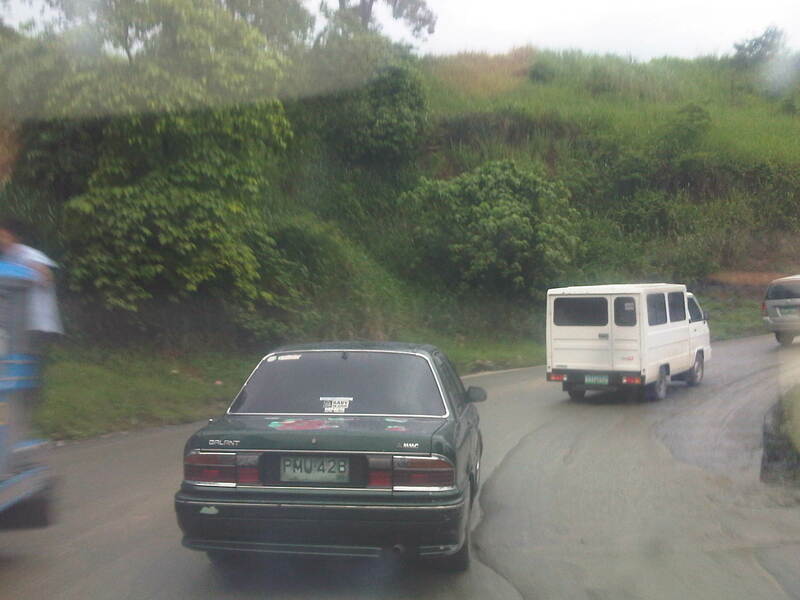 Concrete barriers prevented vehicles from flying off the road in case the driver or rider loses control of the vehicle. 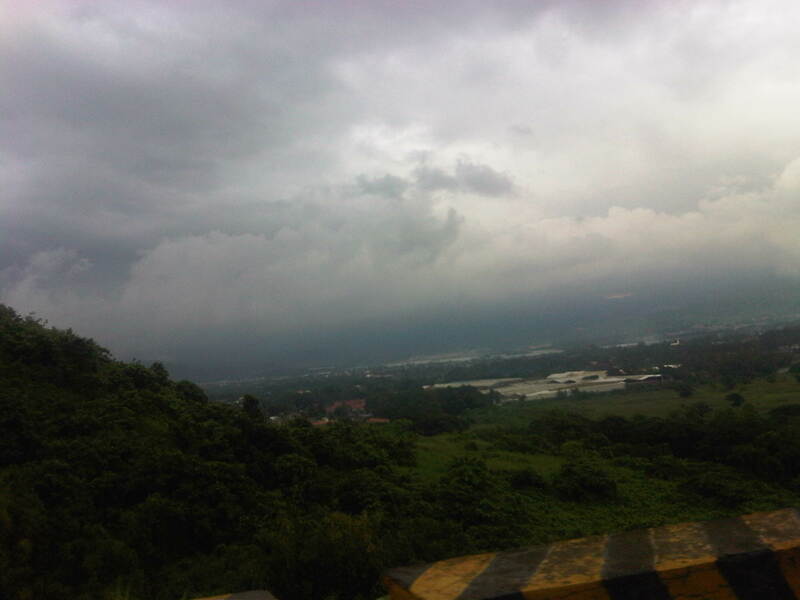 View of the Marikina Valley, which is the catchment area for a lot of water (from rains) that comes from the surrounding mountains of the Sierra Madre range. 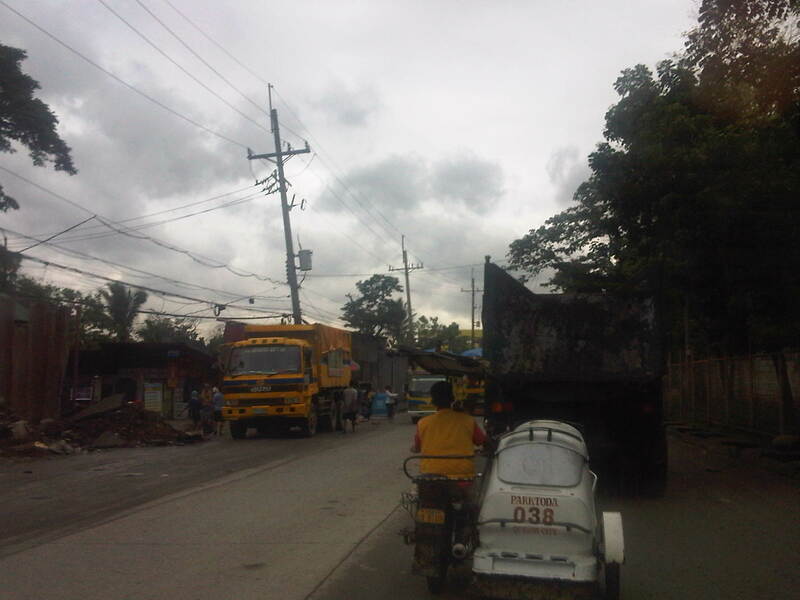 There’s significant truck traffic along this road and many carry garbage or junk. 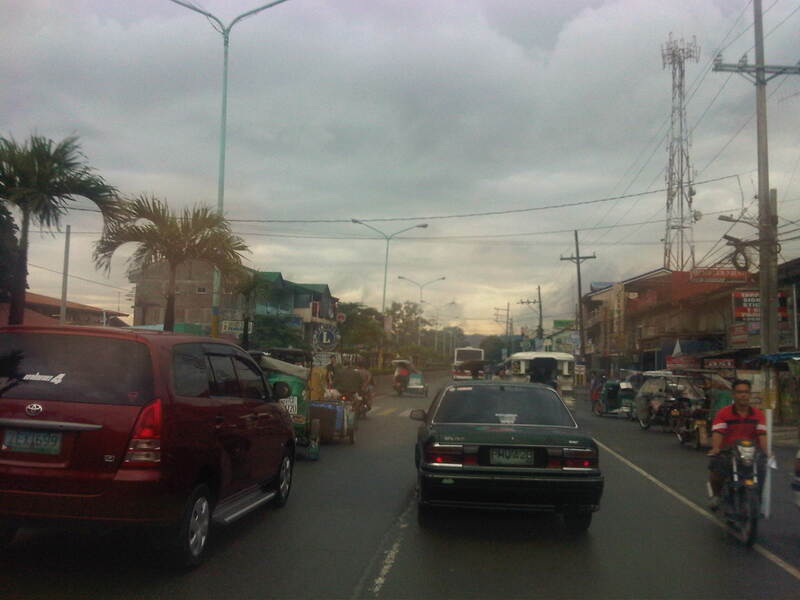 But traffic is usually light as this and other photos show. 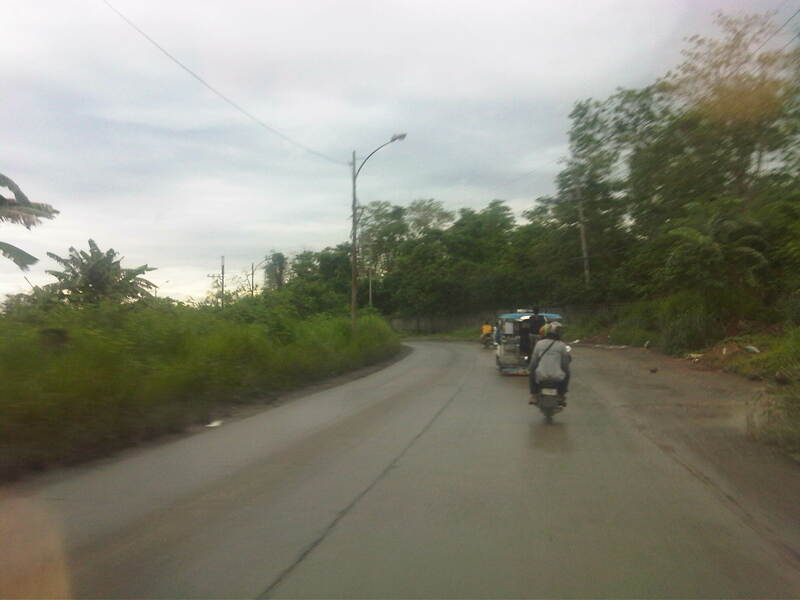 Many sections had no pavement markings and traffic signs to guide motorists. At the edge of one of the curves is a house with modern style architecture. A good landmark to guide travelers using the road. 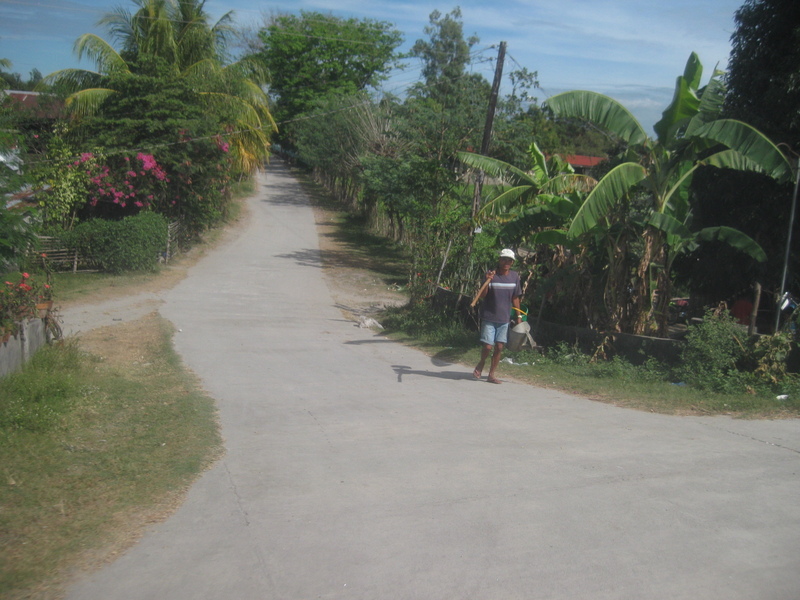 Some sections seem narrow due to the walls built to keep people out of the watershed area and the encroachments on the other side of the road. 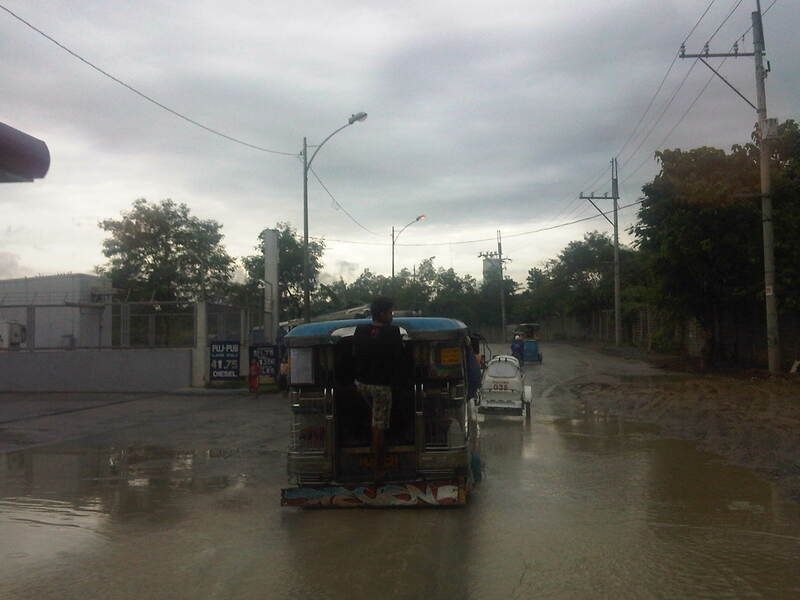 There were no proper drainage along the road and many sections have poor pavement conditions. 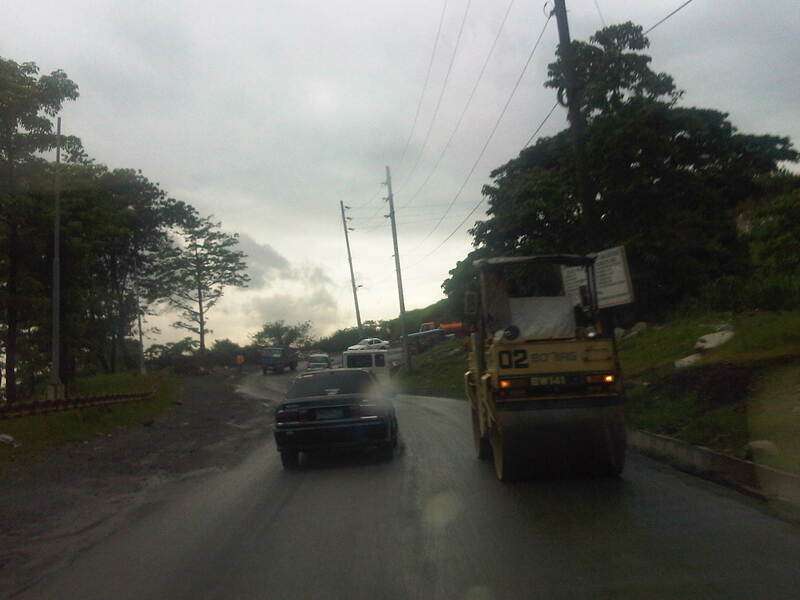 What appeared as drainage works were actually part of the concrete “re-blocking” for the road. 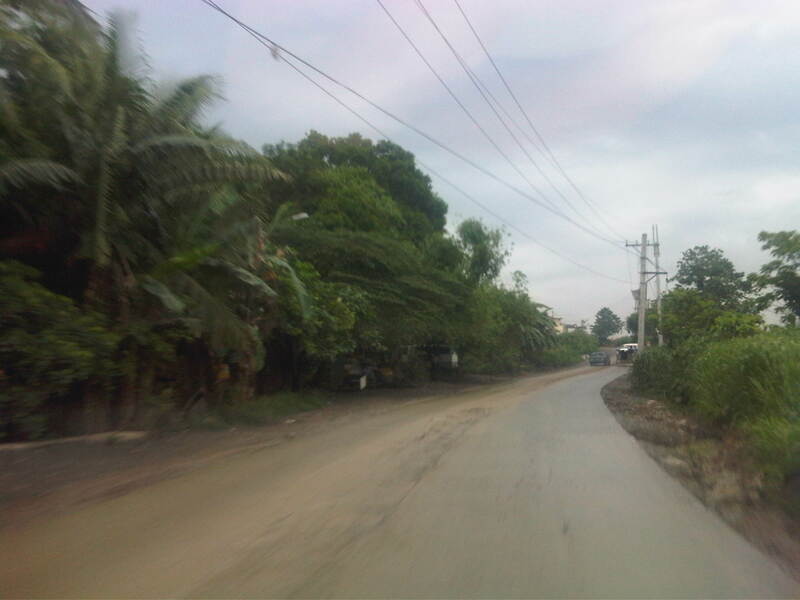 There were also waterworks along the road when we passed through. 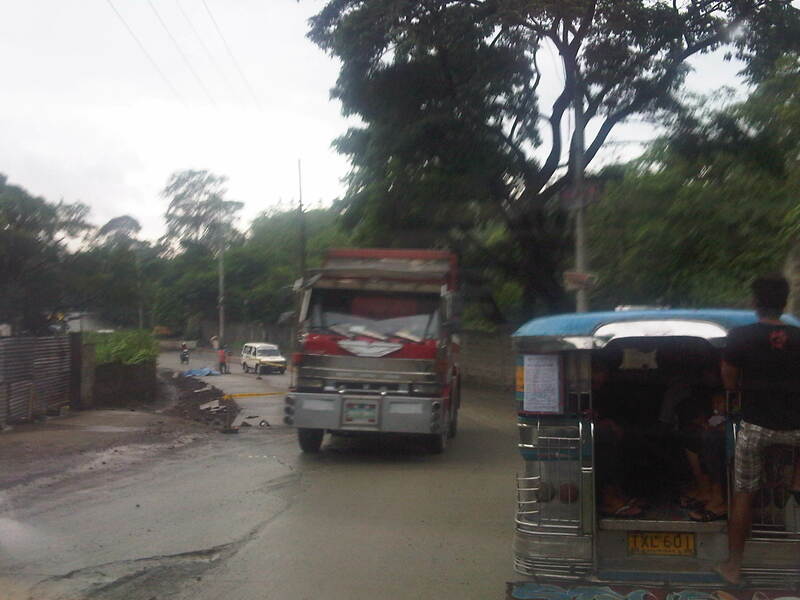 Such waterworks being undertaken often lead to traffic congestion as road space is constricted. 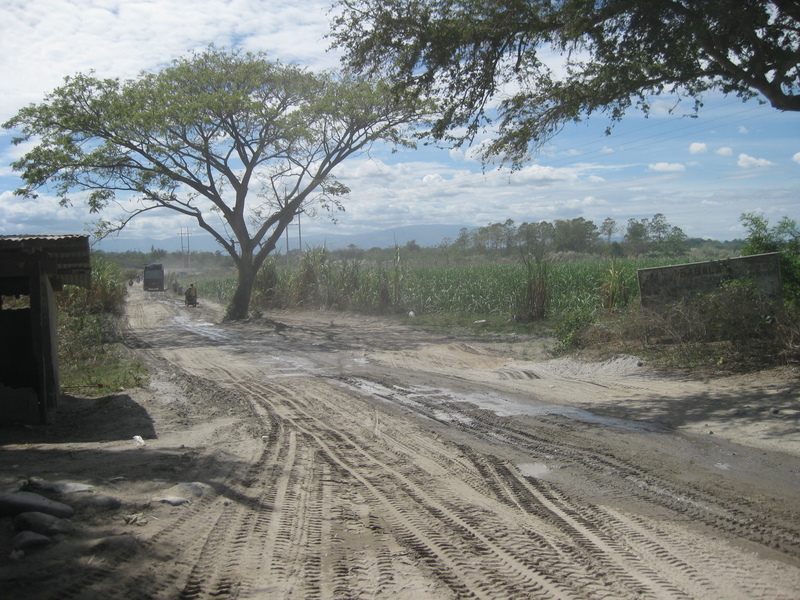 The road has poor drainage along many of its sections including this section near a gas station where muddy water pools in the middle of the road. 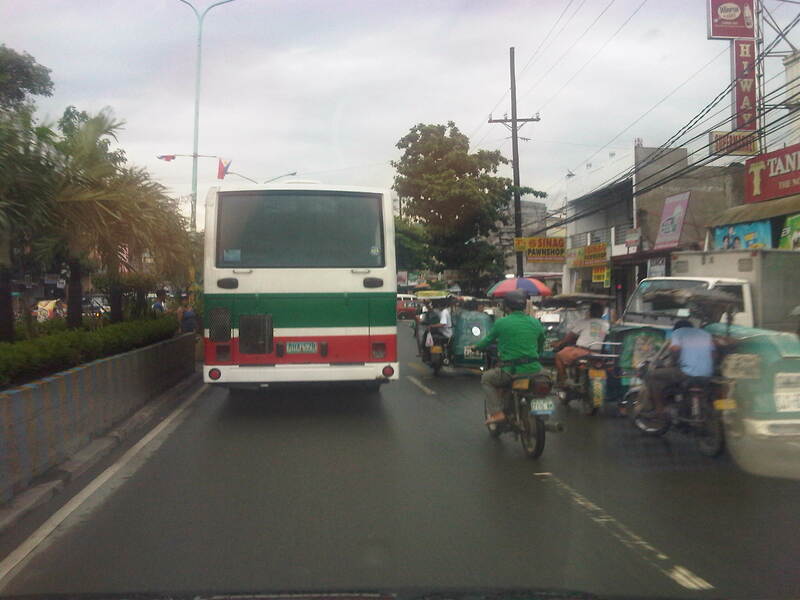 Such instances induce drivers and riders to encroach upon the opposing lane as shown in the photo above. 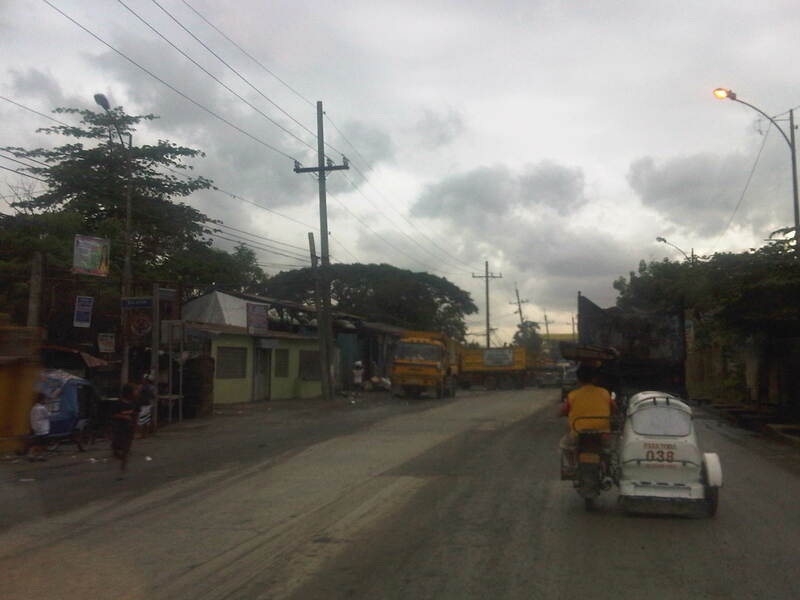 There are many junk shops along the road owing to its proximity to the Payatas open dumpsite. 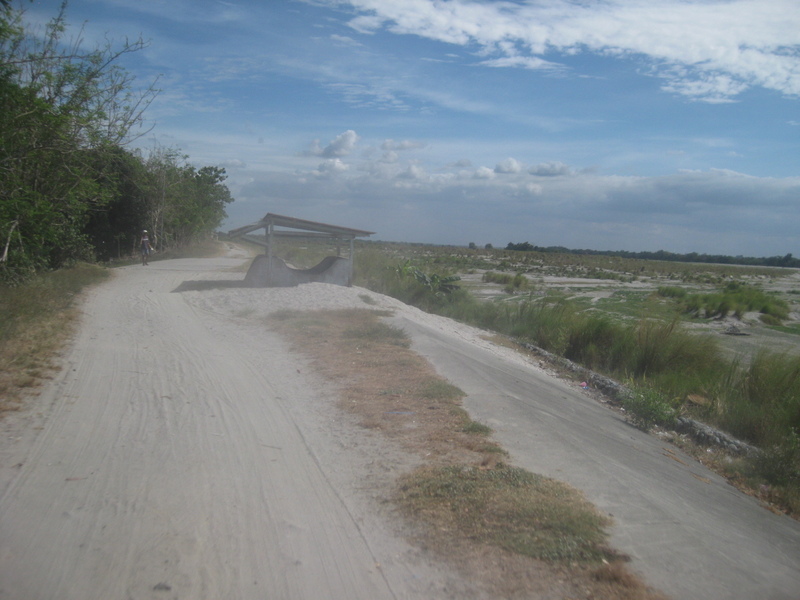 End of the road where Payatas Road ends and becomes the Manila Gravel Pit Road. 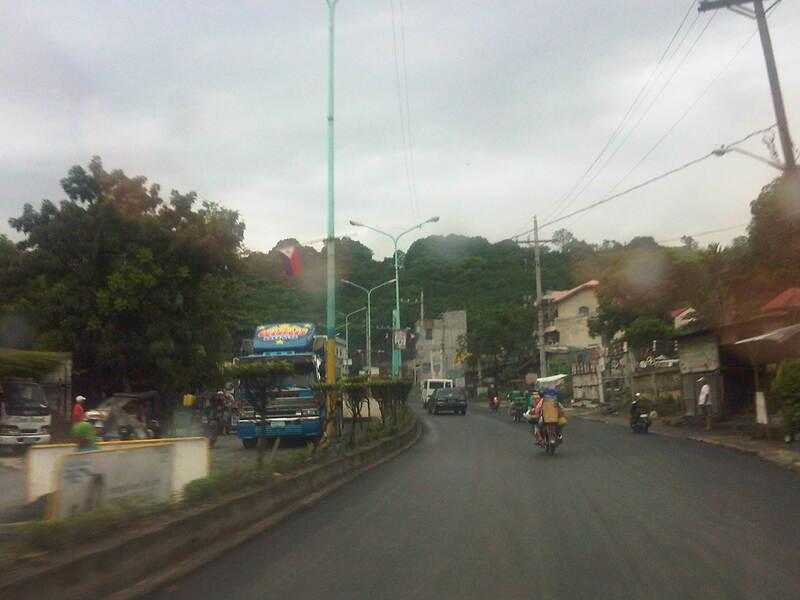 The Batasan-San Mateo Road is one of two roads directly connecting Metro Manila (through Quezon City) to the northern towns (San Mateo and Rodriguez) of Rizal Province. 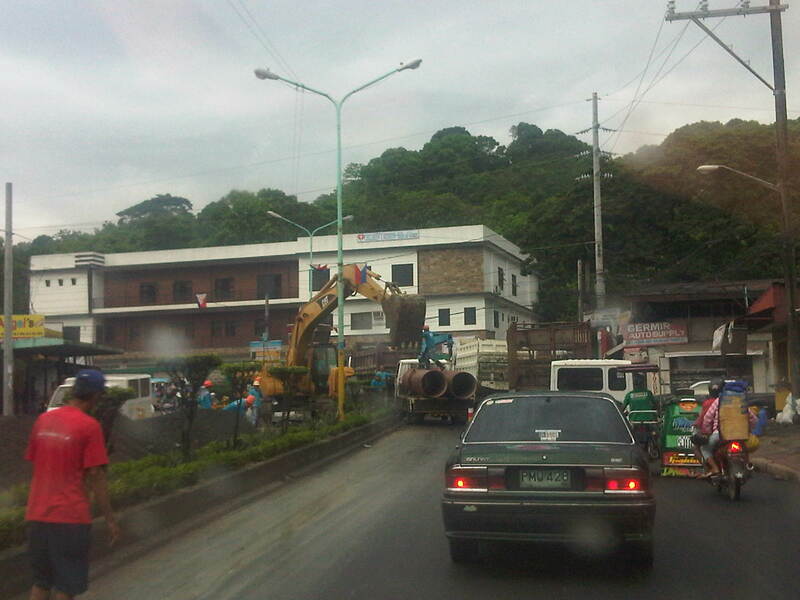 One end of the road is at the junction with the IBP Road that is the main access to the Batasan Complex, where the Philippine House of Representatives is located. 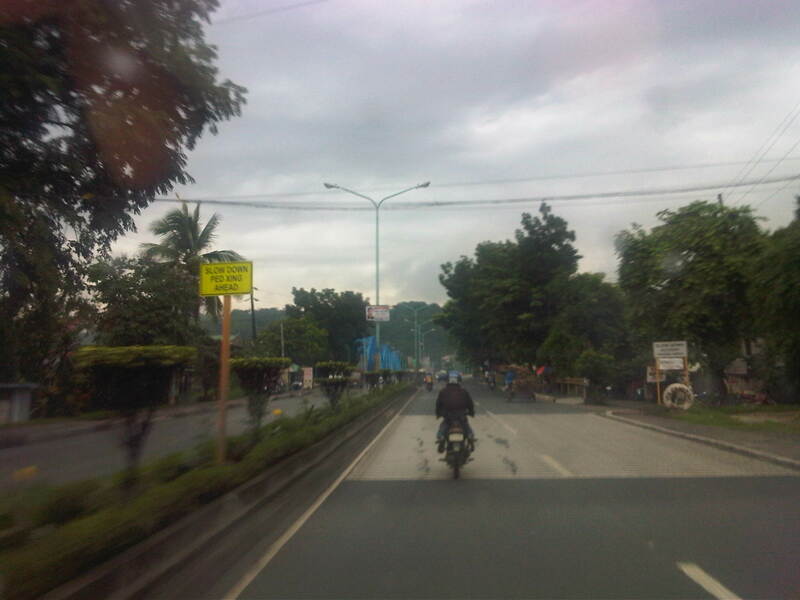 The other end is at the junction with Gen. Antonio Luna, which is also known as the Marikina-San Mateo-Montalban Road. 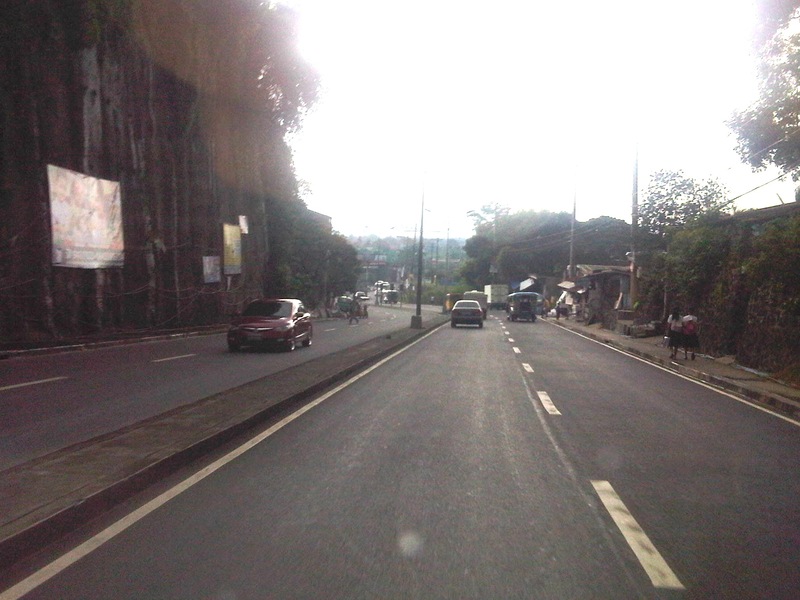 The road descends from the higher elevation hills of Quezon City and the Batasan area towards the Marikina River and the Marikina Valley. 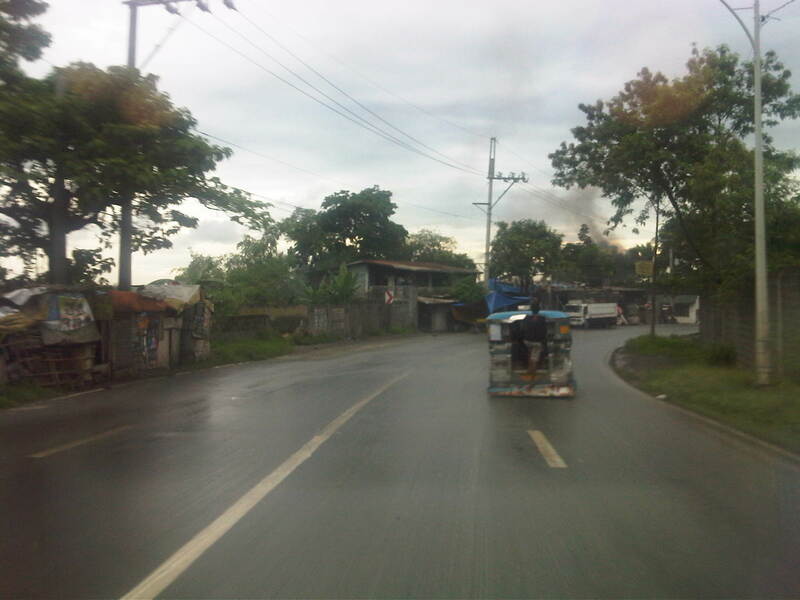 The road has 2 lanes along each direction and opposing traffic are separated by a narrow median island tht probably won’t stop larger vehicles should their drivers lose control and go towards the other side. 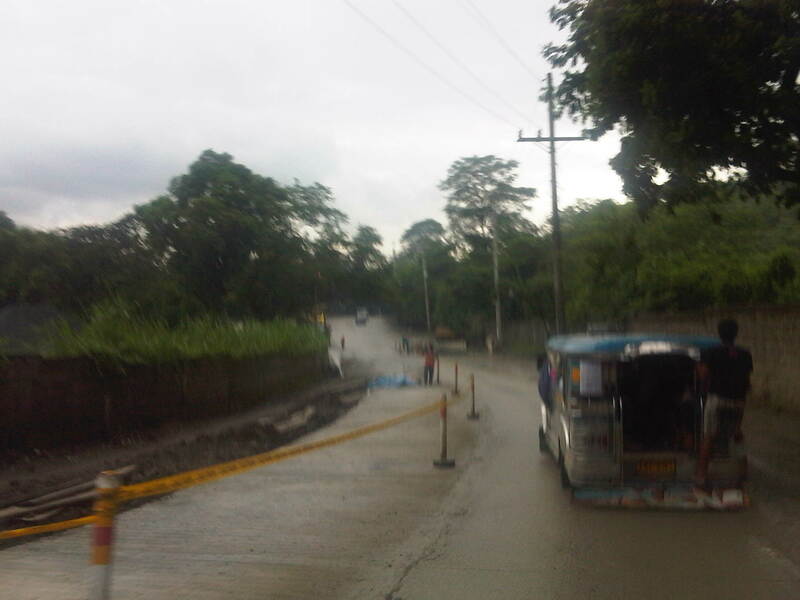 Part of the road was carved out of the hill and this is clear from the sections where the rock or soil is exposed. 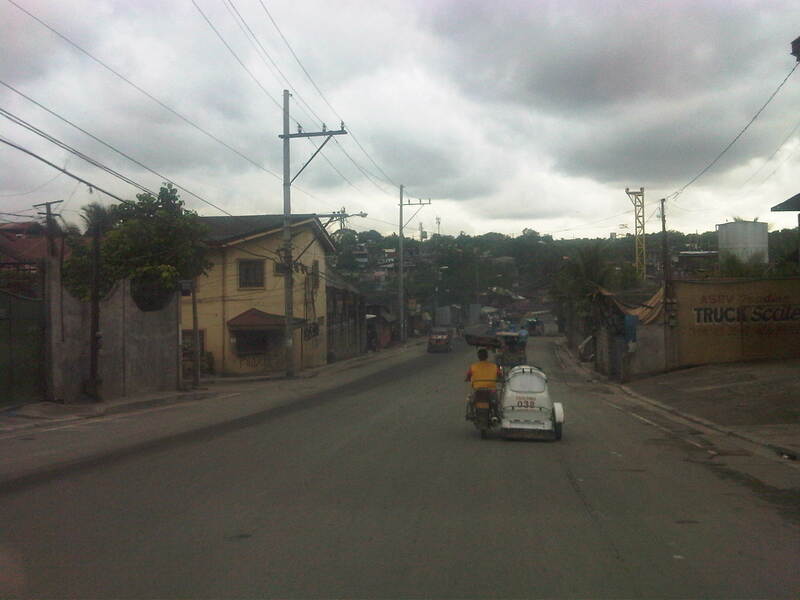 This is similar to the way Ortigas Ave. in Pasig was constructed in the 1970’s out of the rock of the hills of Pasig and Mandaluyong. 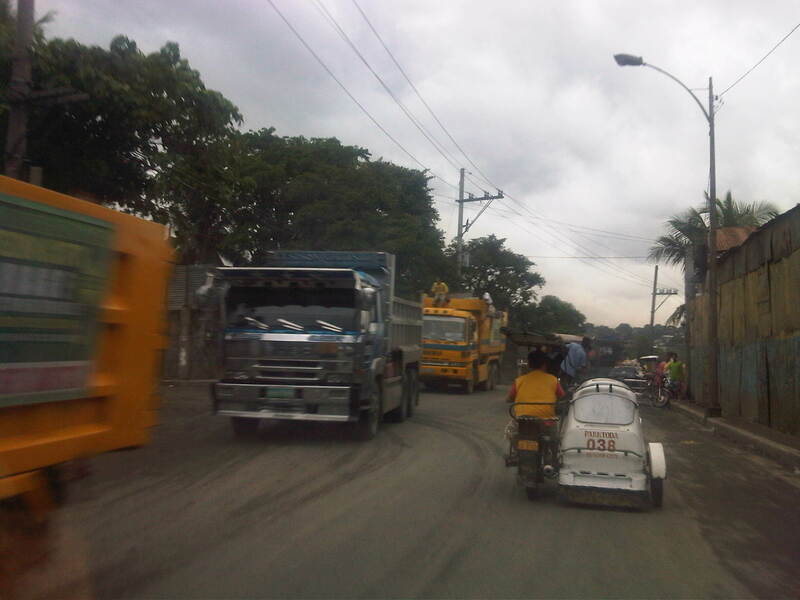 Traffic is generally light along this road but there are incidence of congestion uphill (to QC) due partly to the slope and in many cases due to trucks or tricycles. 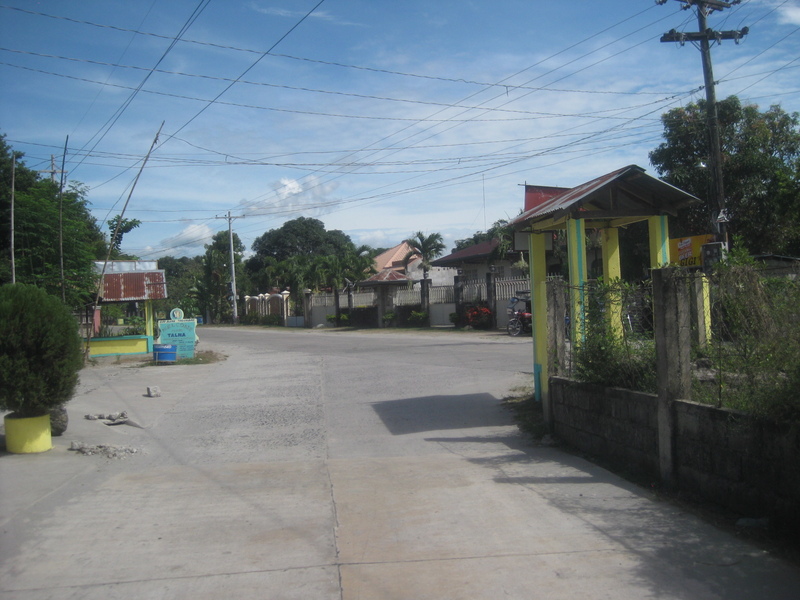 Lands on either side of the road are residential areas with a mixture of exclusive subdivisions, low income communities and informal settlers. 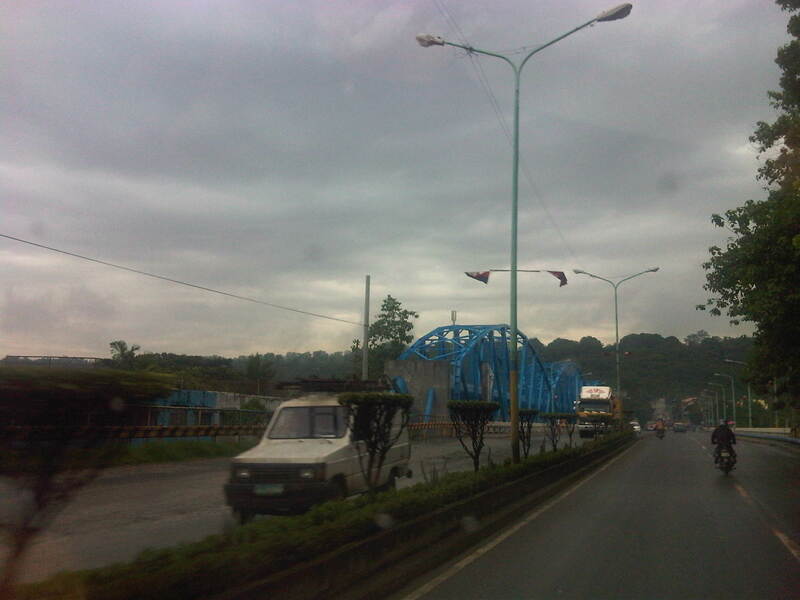 A concrete bridge spans the Marikina River. 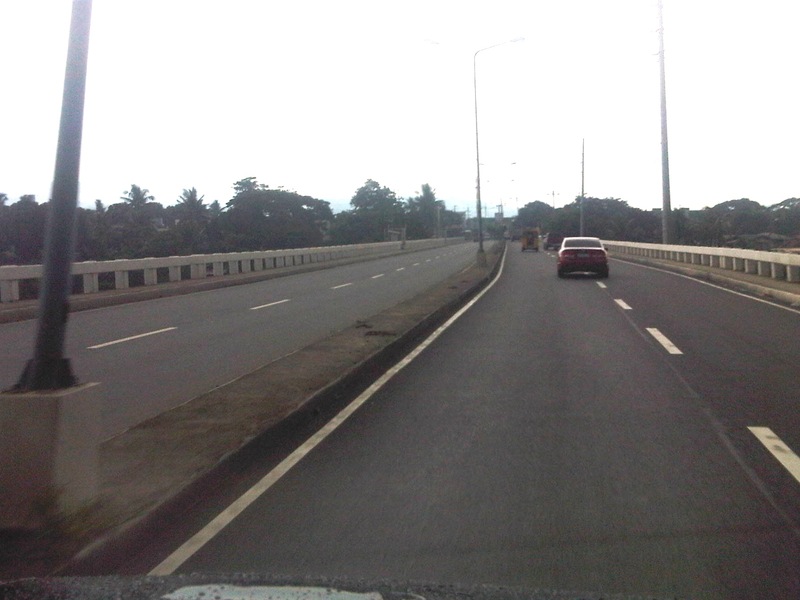 The bridge is long and if traveling along the outer lanes, one can get a good view of the Marikina River and its flood plains. 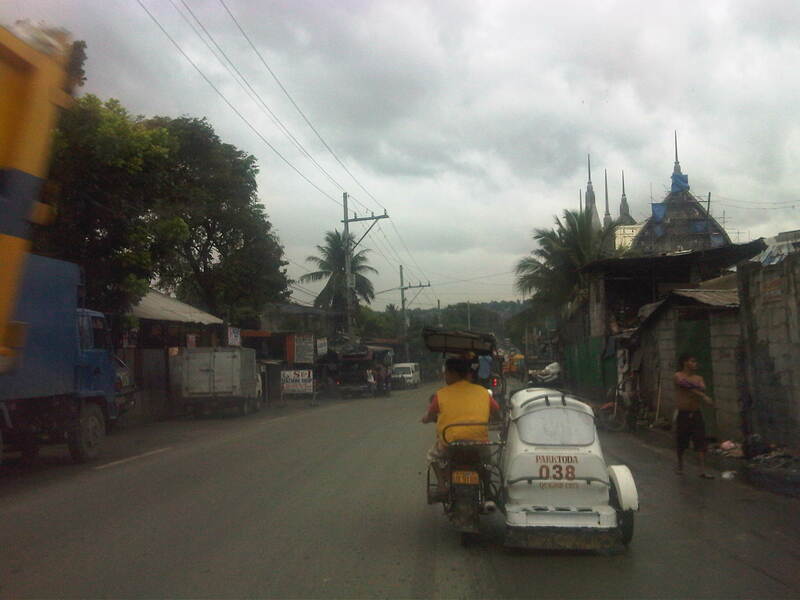 When traveling to QC, one would have a good view of the structures dotting the hills, which are mostly houses and shanties of different types. 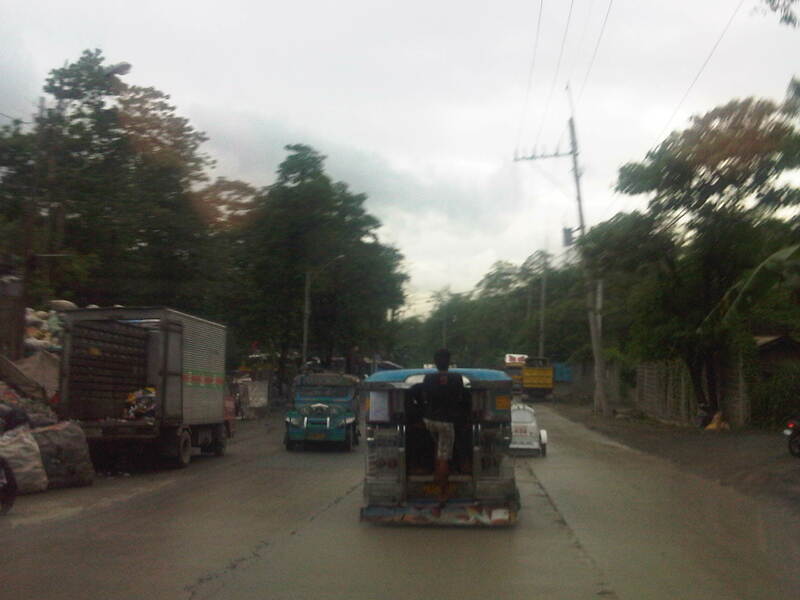 Jeepneys started plying routes along the road as it provided a shorter way between Metro Manila and the towns of San Mateo and Rodriguez as well as the northern barangays of Marikina. 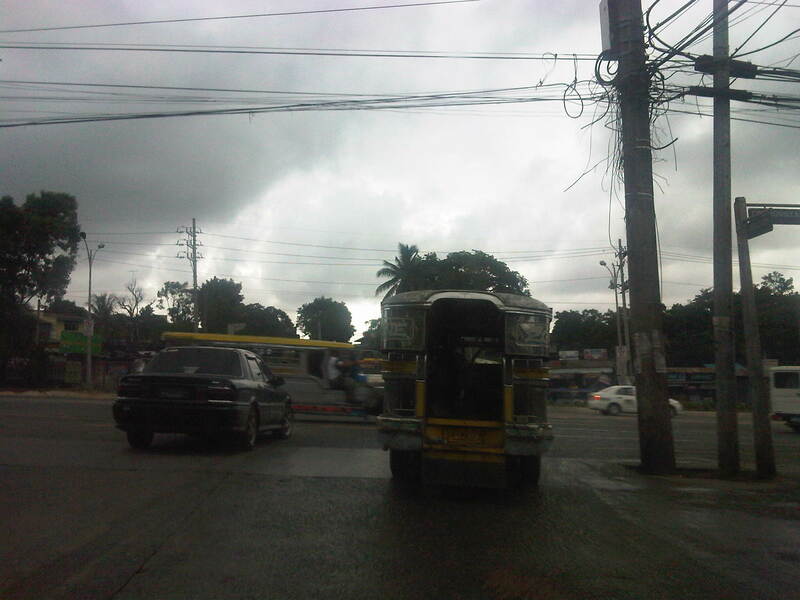 Travelers won’t have to pass through the traditional way via Marikina. 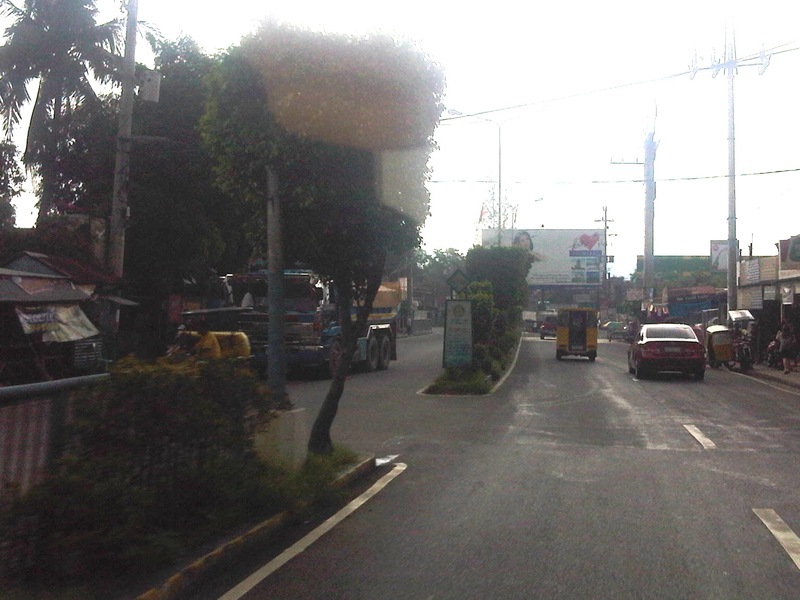 Median opening just meters away from the junction with Gen. A. Luna. 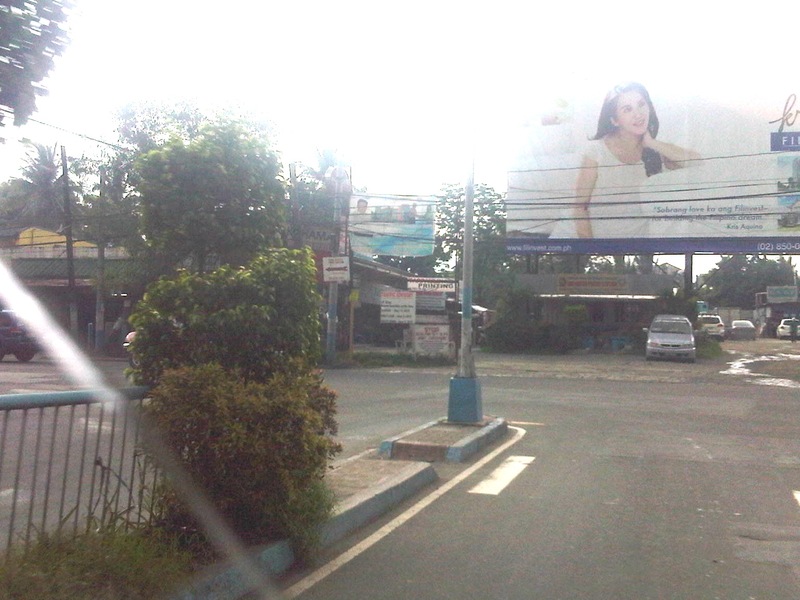 End of the road – the junction with Gen. A. Luna, which is already in San Mateo, Rizal. 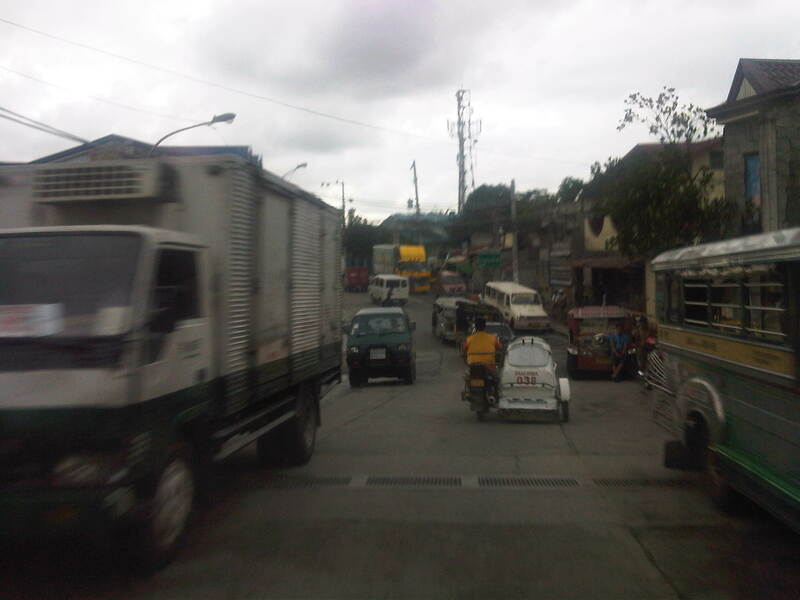 Turning right takes the traveler to Marikina City while a left will bring one to San Mateo town proper and Rodriguez (Montalban) further on. First things first. The prototype vehicle to be developed and tested will be an AGT and NOT a monorail. 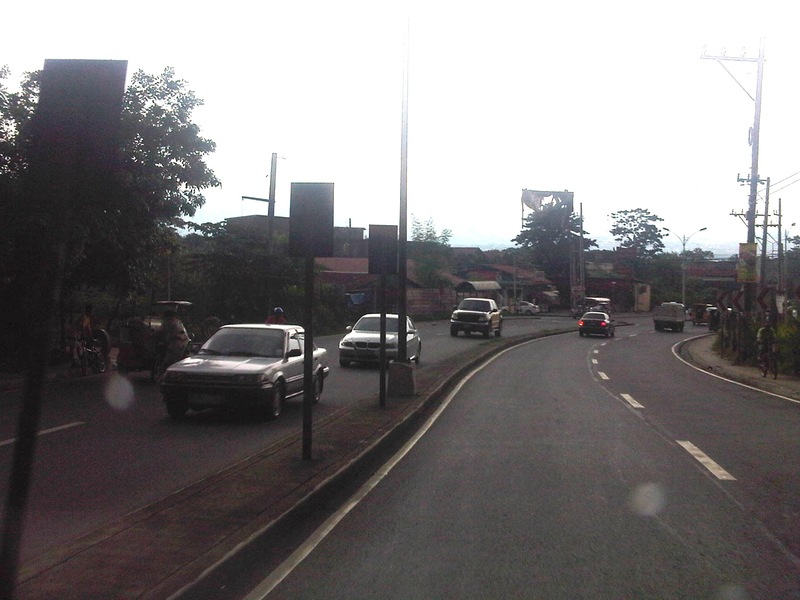 These two were proposed and discussions among DOST and UPD led to the decision to develop an AGT rather than a monorail. 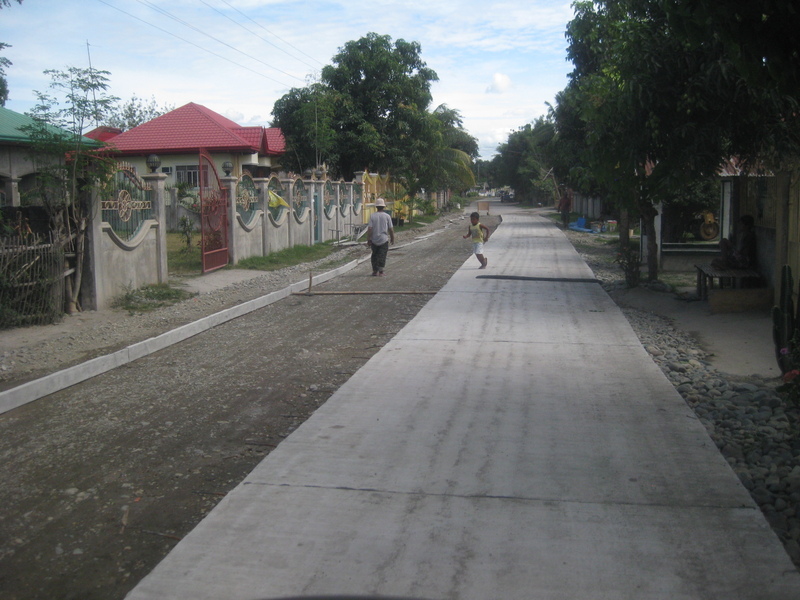 To support the project, a test track had initially been built on the DOST grounds as a “proof of concept” exercise. The “success” of the exercise apparently led to the decision to move forward and pursue full scale development and testing of a system. 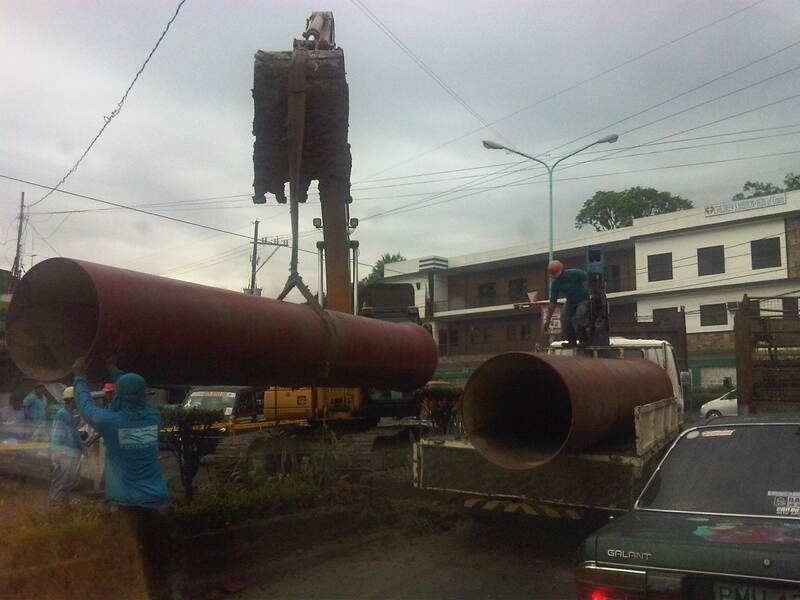 Thus, after several discussions with the UP System and UP Diliman a test track will be constructed in UP Diliman. The test track will not be a fully functional system for commuting although the location will be conspicuous enough for those interested in the project. The alignment was also decided based on the potential for a full system to be built should it be found to be feasible. By feasibility, this meant that the environmental and financial impacts of such a system for the campus will have to be evaluated. In fact, one of the biggest questions that has still to be answered is who will pay for such a full system and whether it can sustain itself given the limited ridership in the area coupled with the limited supply the system can provide. 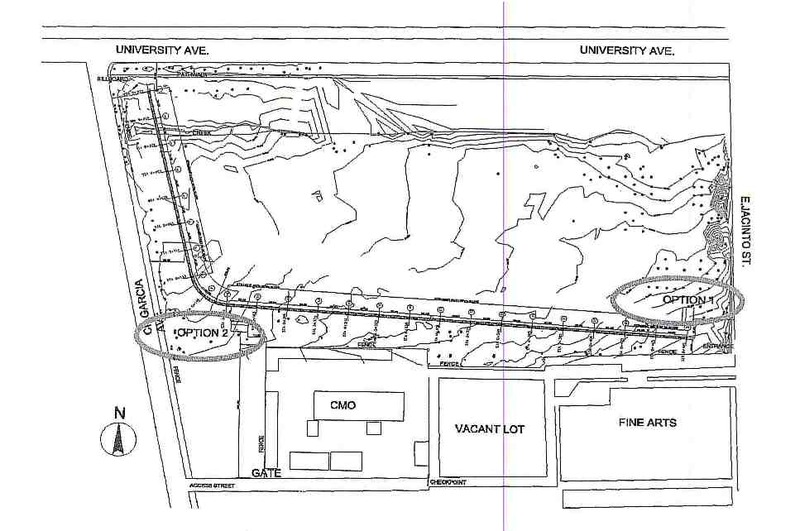 Map showing test track location and layout. One idea already put forward before was the possibility of a full system being constructed along C.P. 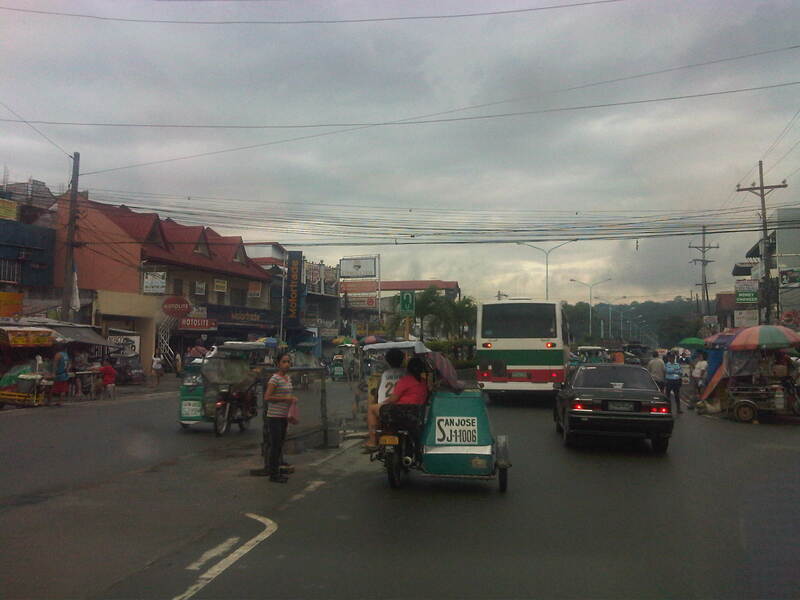 Garcia Ave., effectively connecting Commonwealth Ave. (at Philcoa) and Katipunan Ave. (near the National Institute of Physics). Such a system might be viable but it has to be two-way and with a fleet of vehicles to support the demand along the corridor. 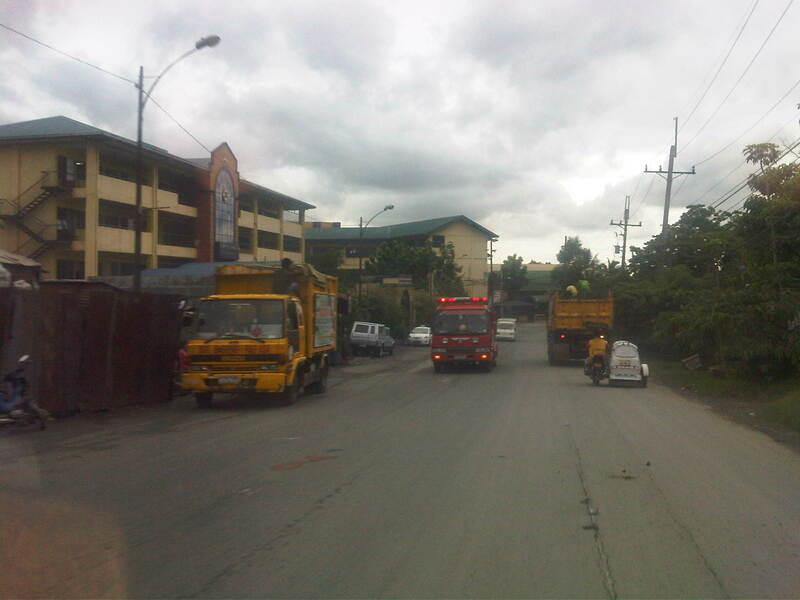 Perhaps stations along this line may be located at Philcoa, National Computer Center (between CHED and Phivolcs), the old Stud Farm, College of Engineering Complex (near the junction to the Hardin ng Rosas residential areas), and NIP (perhaps across it at the lot near the technology incubator?). 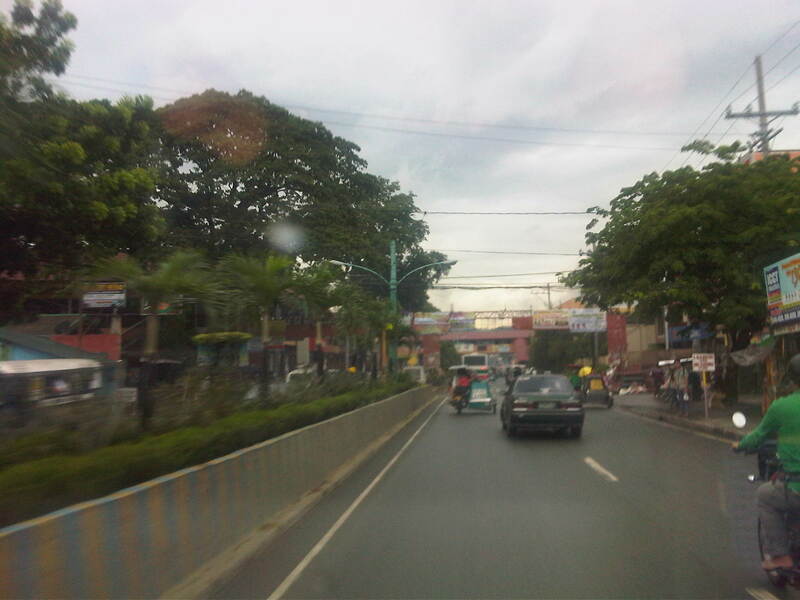 The Montalban Highway is located between the junction with J.P. Rizal Avenue in Rodriguez, Rizal (formerly known as the town of Montalban) and the junction with Payatas Road in Quezon City, Metro Manila. 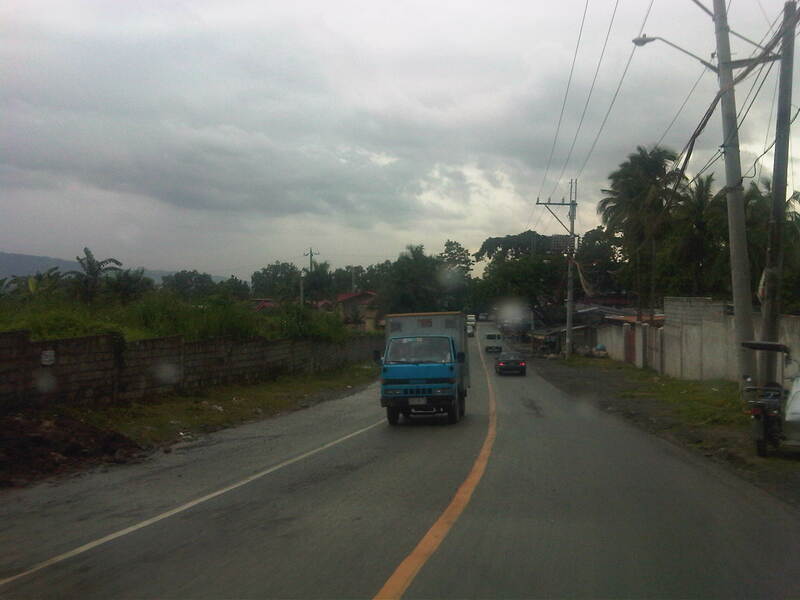 It serves as part of an alternate but somewhat longer (distance-wise) route between Metro Manila (via QC) and the northern towns (San Mateo and Rodriguez) of Rizal Province. 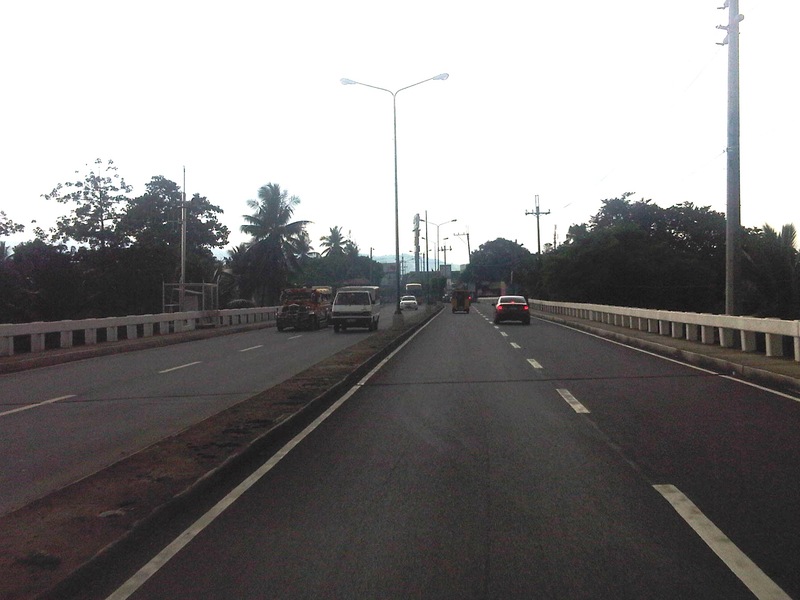 The other route is through the Batasan-San Mateo Road, which also has a bridge crossing the Marikina River. 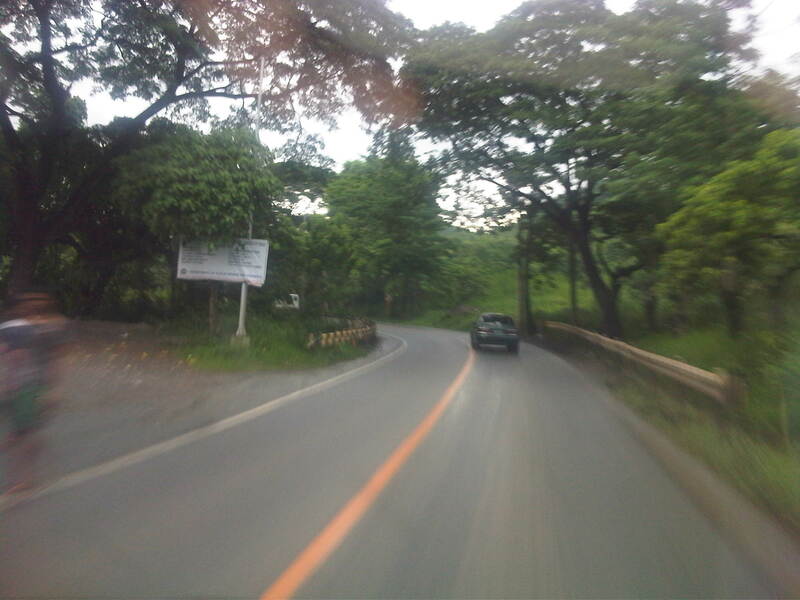 While it is longer, it is often the less congested road and may perhaps offer faster travel (shorter travel times) between QC and San Mateo or Rodriguez. 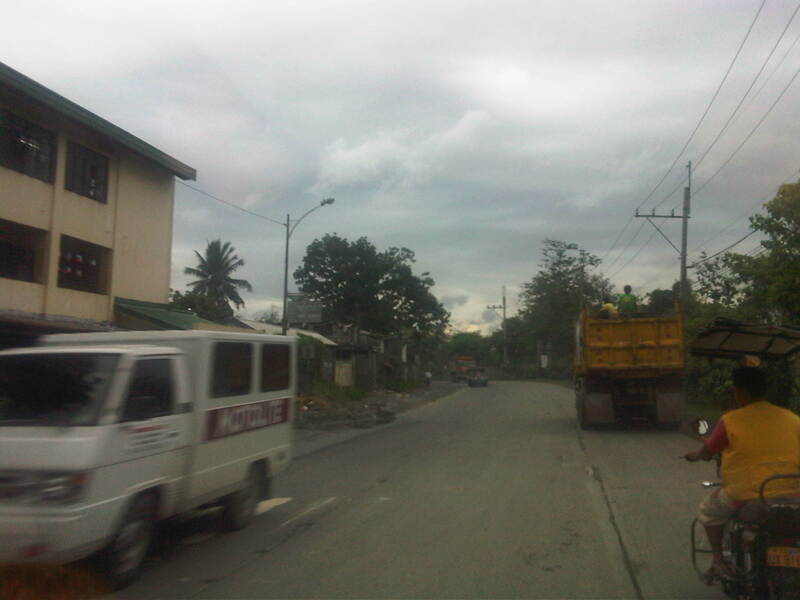 It is definitely the faster route to Montalban since travelers won’t have to pass through the town proper of San Mateo, which can get congested due to the local traffic and narrow roads. 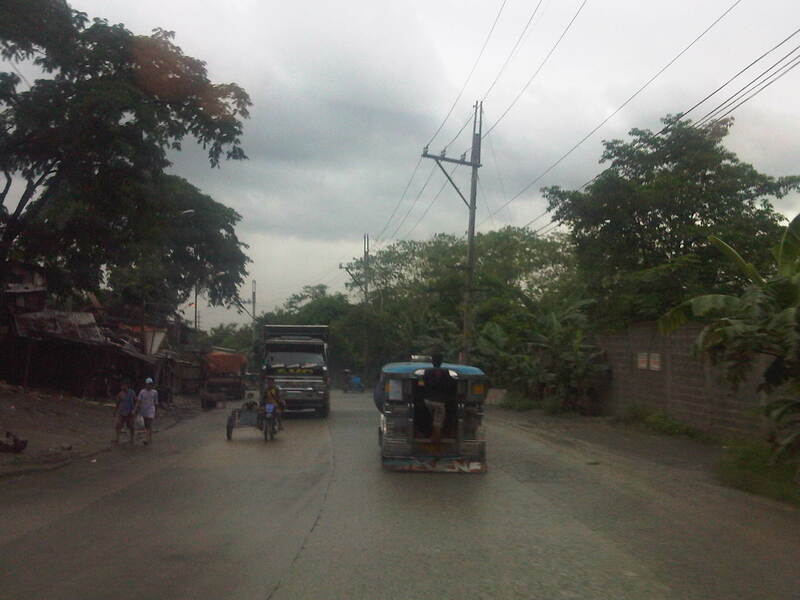 The road is a 4-lane/2-way highway with a median island with a plant box separating opposing traffic. 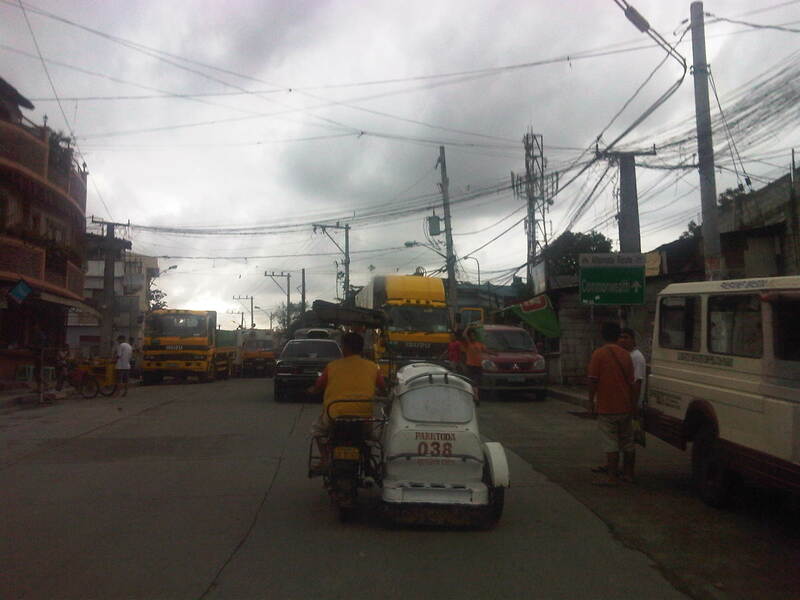 Traffic is a mix of cars, tricycles, jeepneys, buses, even bicycles and pedicabs. 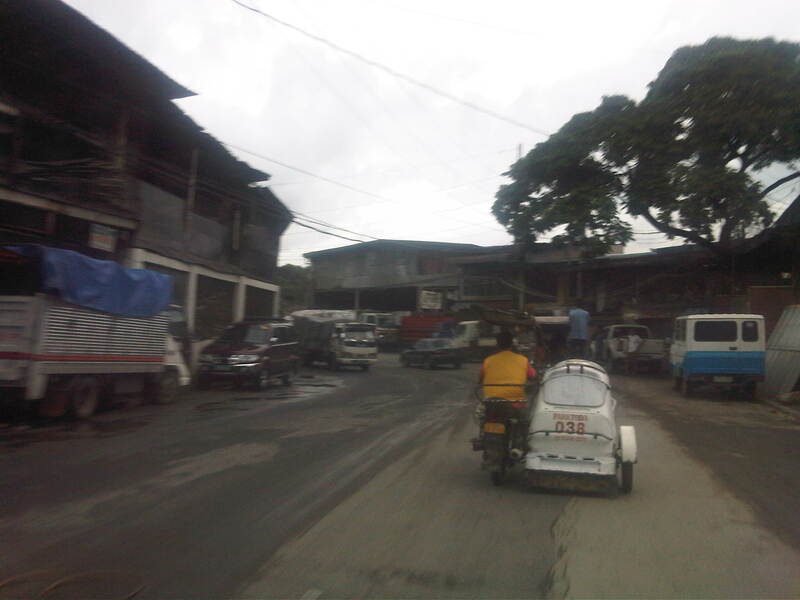 Along the highway is the Montalban Town Center, which has buildings on either side of the road midway through the highway. The buildings are connected by a covered elevated walkway. 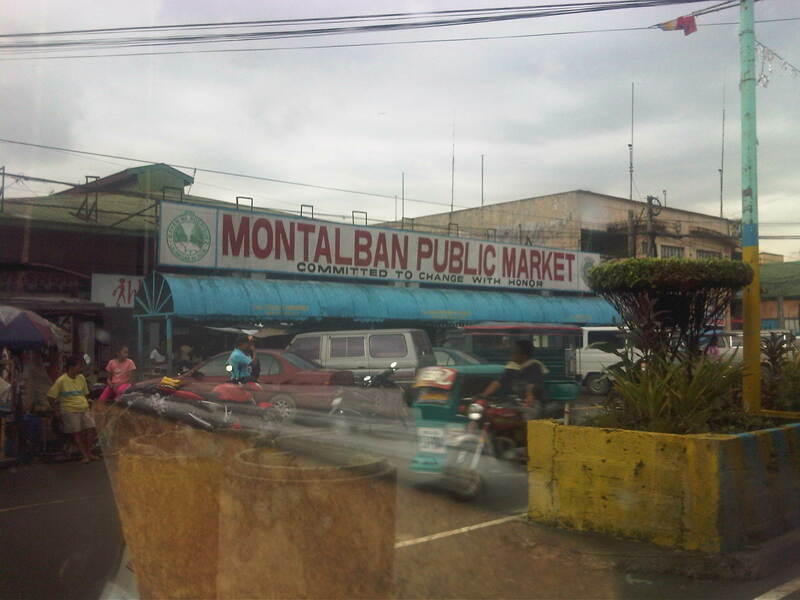 Past the town center is the Montalban Public Market and the area reminds of what Kalayaan Avenue in Makati City looked like before it was widened. We couldn’t understand exactly what the tagline “committed to change with honor” really meant, especially when it’s placed together with the sign for the market. 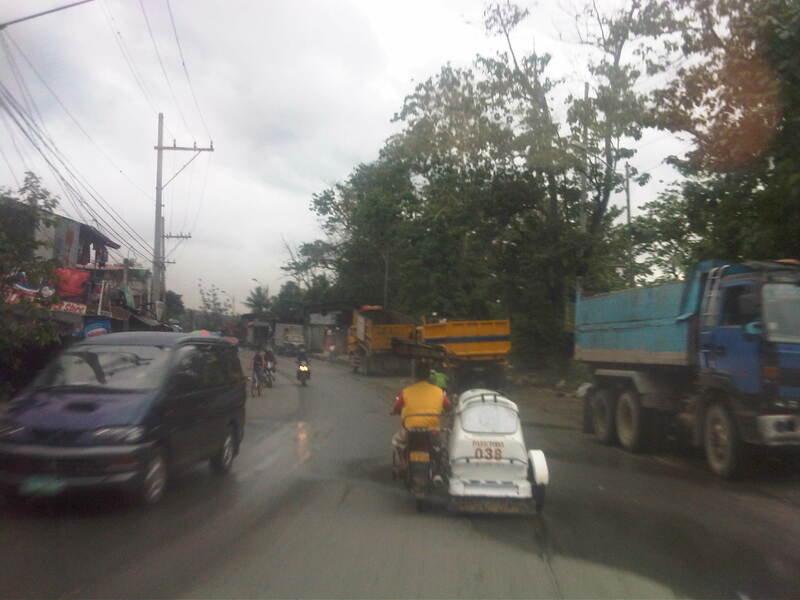 Tricycles easily clog up the highway with many trying to get passengers by slowly traveling along the curbside. 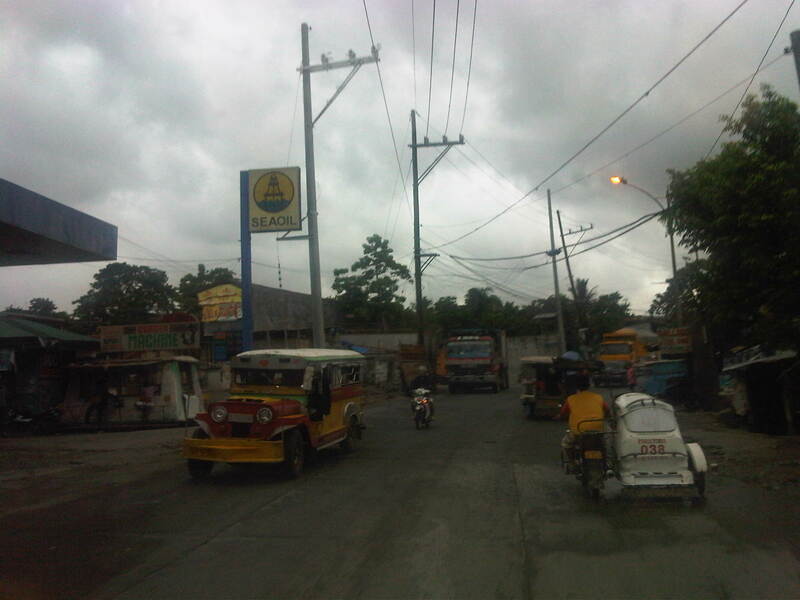 Past the commercial/market areas, traffic is free-flowing. 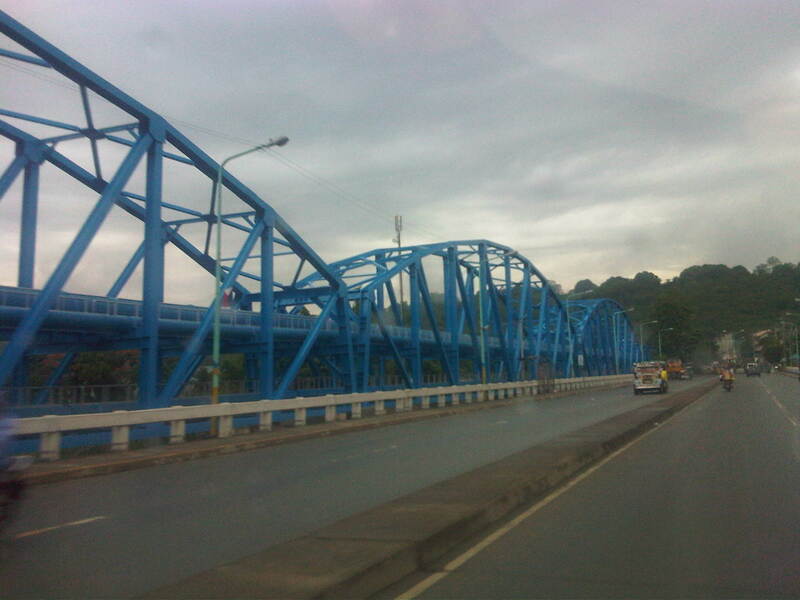 There’s a steel structure alongside the bridge that carries water pipes. 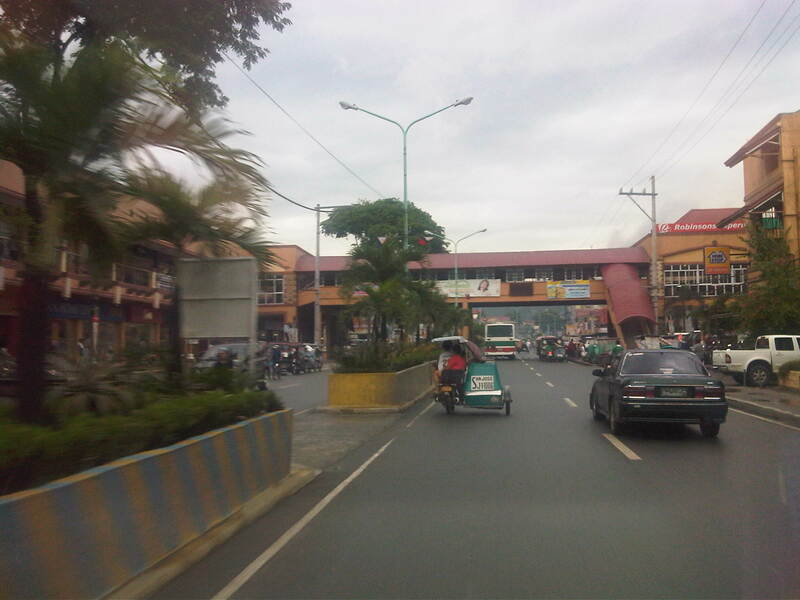 From distance, the structure together with the bridge makes it look like the San Jose Bridge is a steel structure. 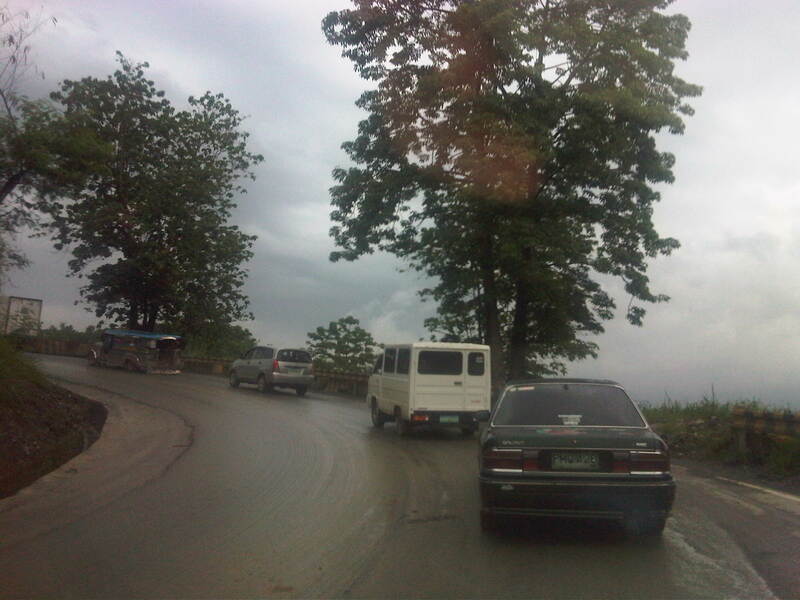 What looks like a hill at the end of the highway is actually part of the La Mesa Dam reservoir and watershed. 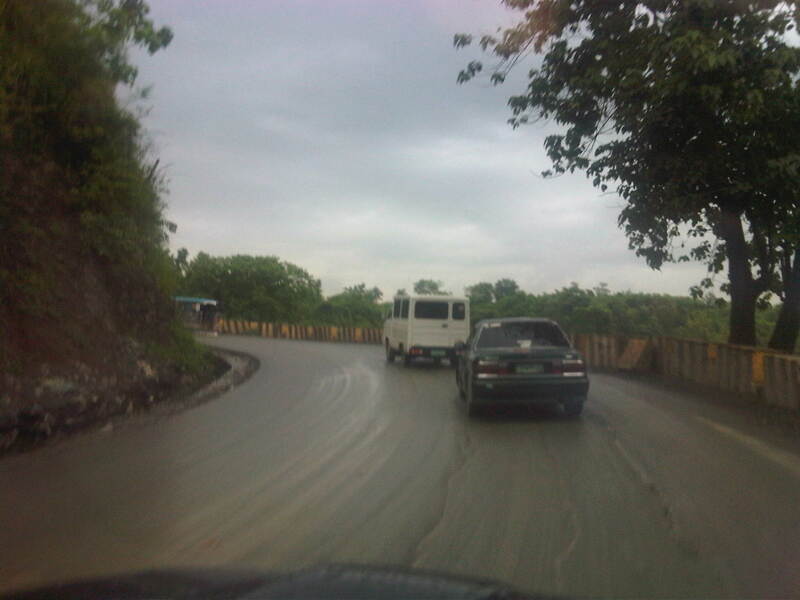 After crossing the bridge, traffic is still light but vehicles generally slow down as they approach the end of the highway where there is a junction. 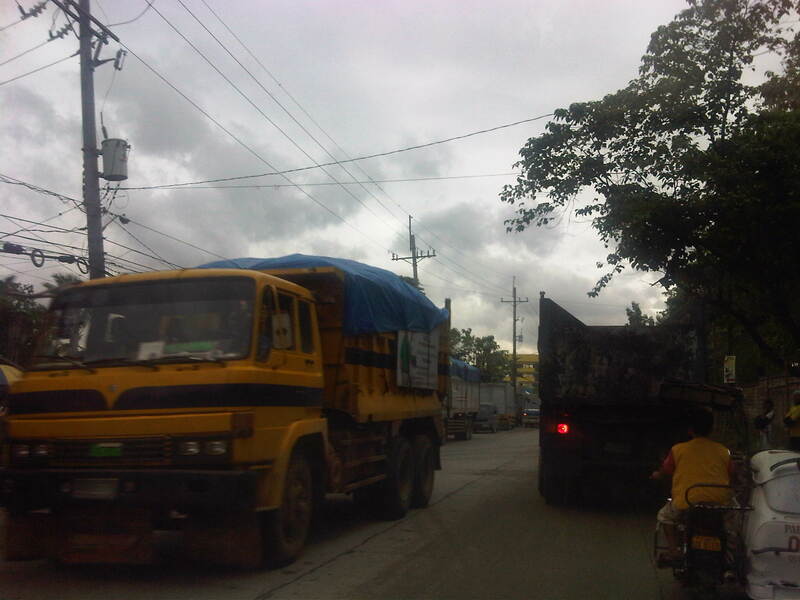 It turned out that vehicles were also slowing down due to major waterworks being conducted at the intersection of Montalban Highway and Payatas Road. A closer look at the pipes being laid out in the area when we passed by this June. 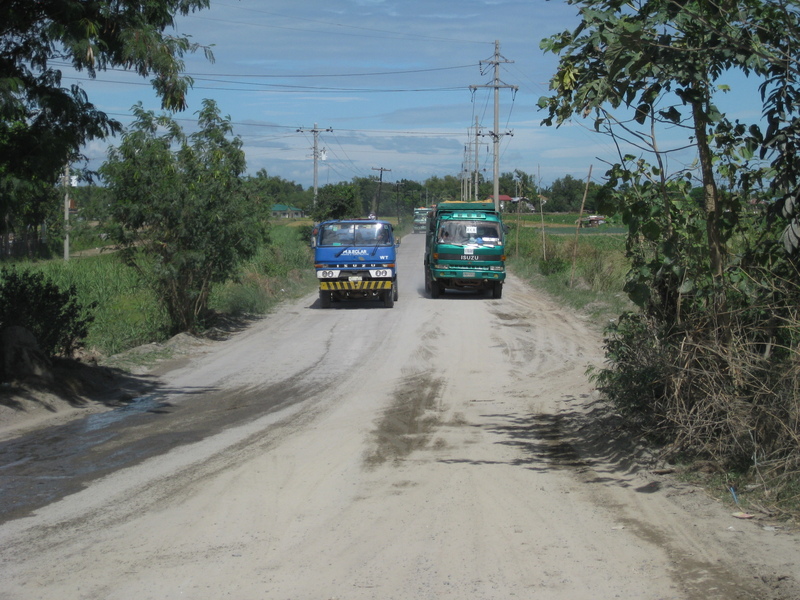 While doing recon for a project in Tarlac, we inspected several areas where local roads were being used as alternate routes to national highways. 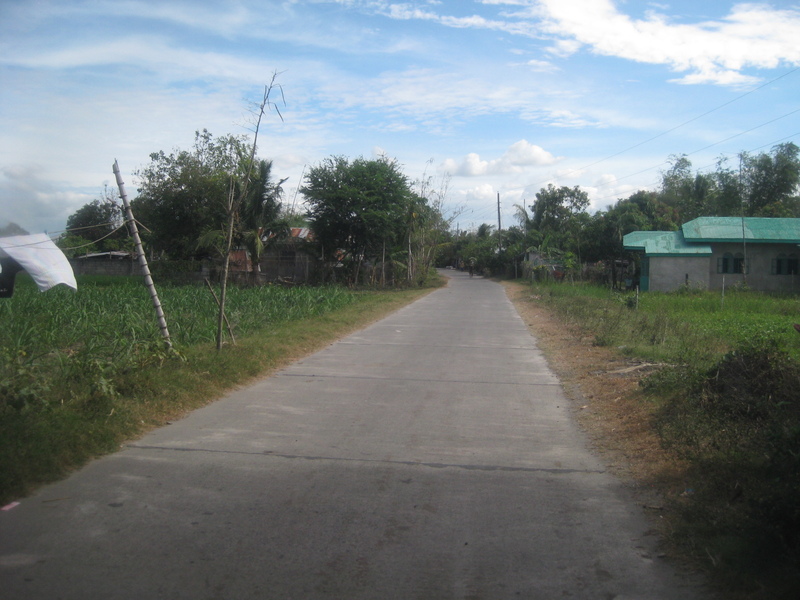 Many of the local roads where categorized under Provincial or City Roads but were usually and obviously lower in quality when compared with their national counterparts. 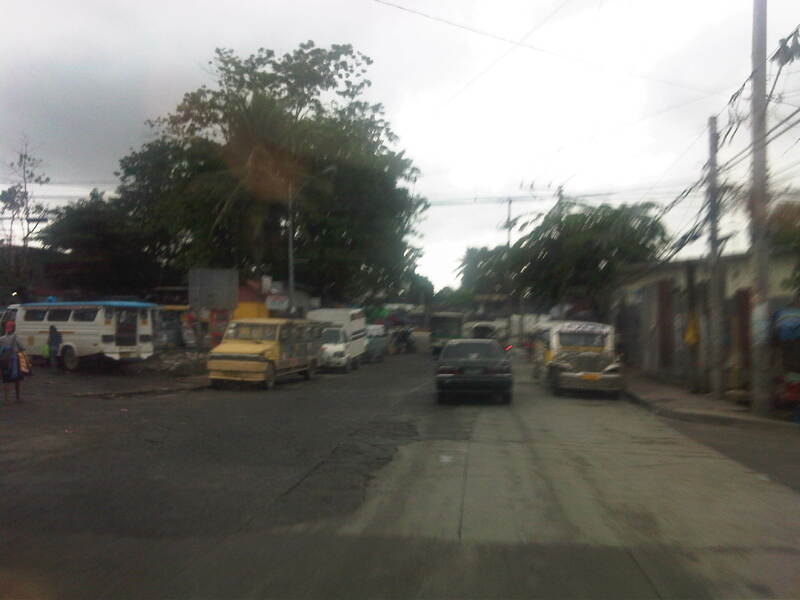 In many cases, the asphalt or cement concrete surface has been badly weathered and motorists won’t be able to avoid one pothole after the other. 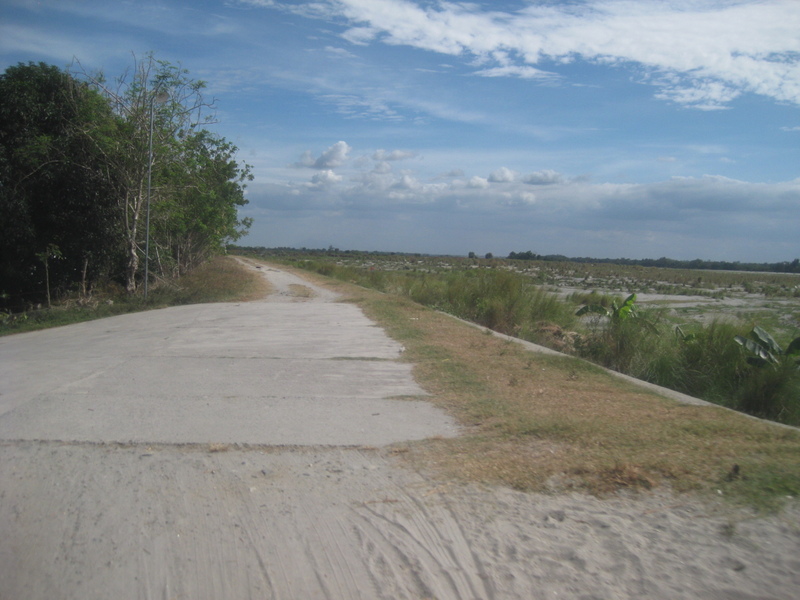 The following photos were taken along the east dike road of the Tarlac River. 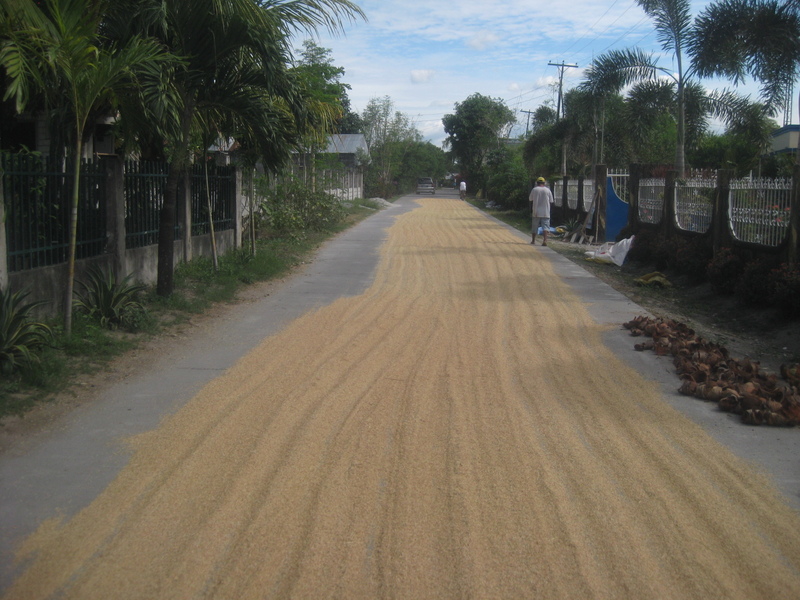 The dike is not so conspicuous when seen from the main road during summers. 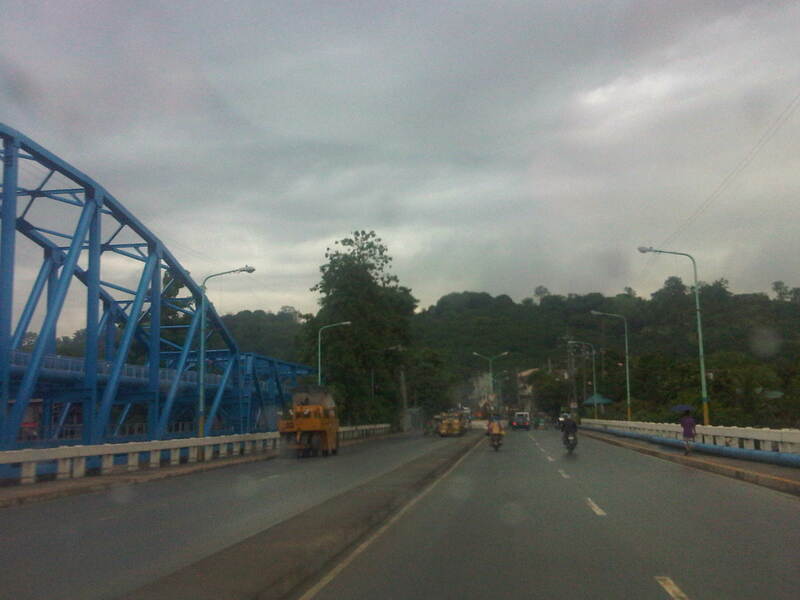 This is in part due to the river usually having little water flowing due to the lahar that accumulated there from Mt. Pinatubo’s destructive eruptions in 1991. 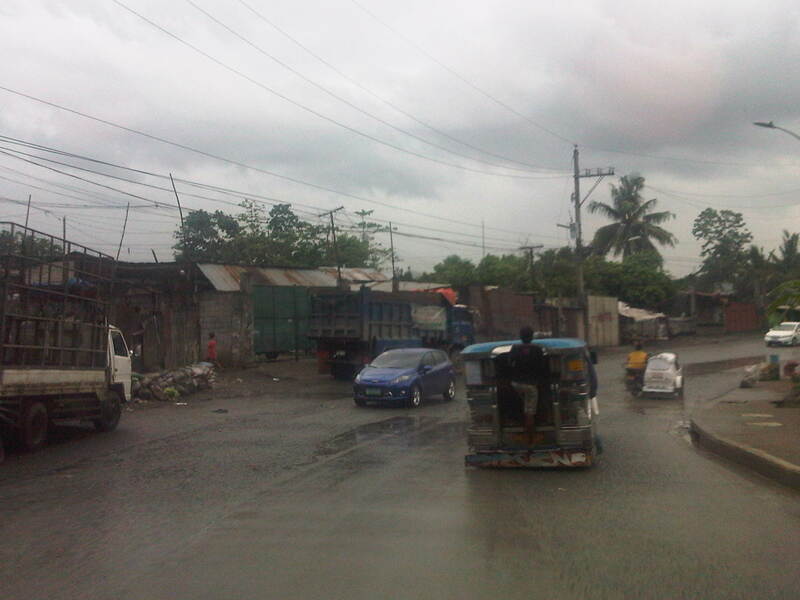 It’s a different case during the wet season when the river can overflow due to the amount of rainfall usually brought about by typhoons. 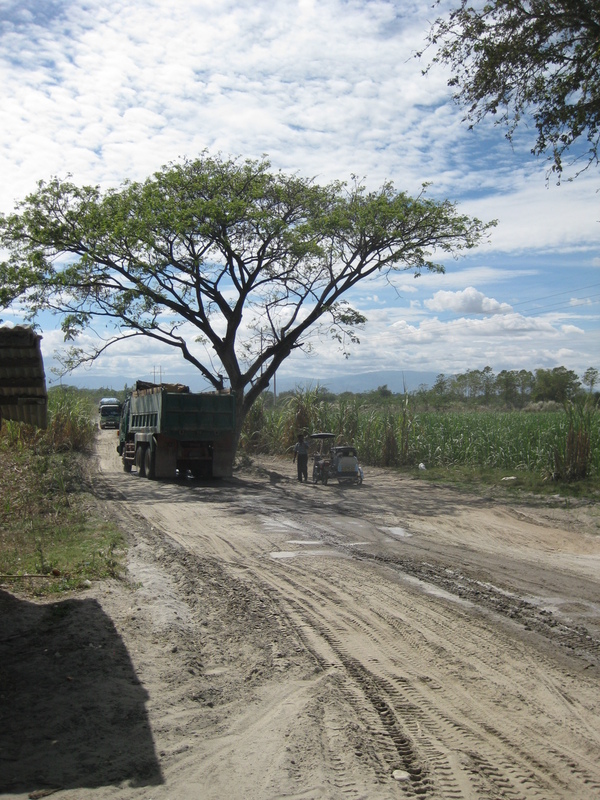 Truck counter-flowing at the tree that serves as a median island of sorts. 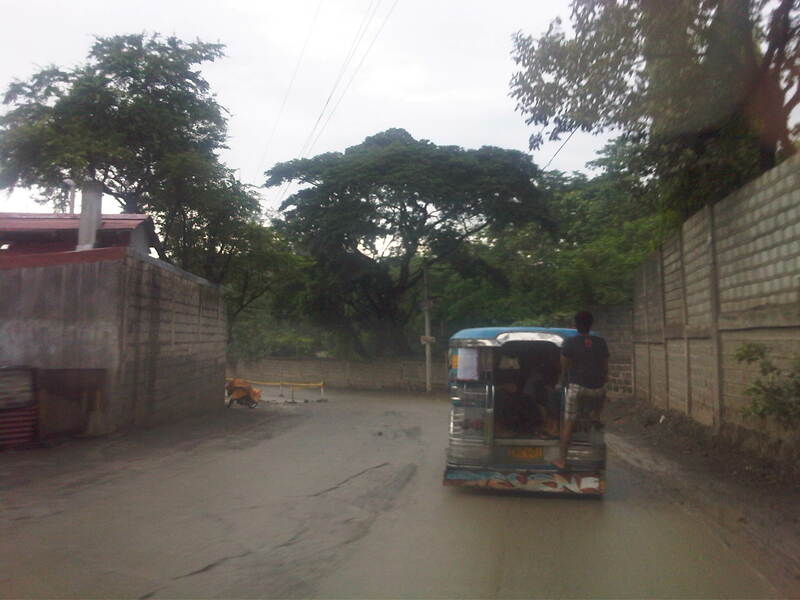 It’s likely the truck driver made the decision to bypass what looked like a stalled tricycle beneath the shady tree. 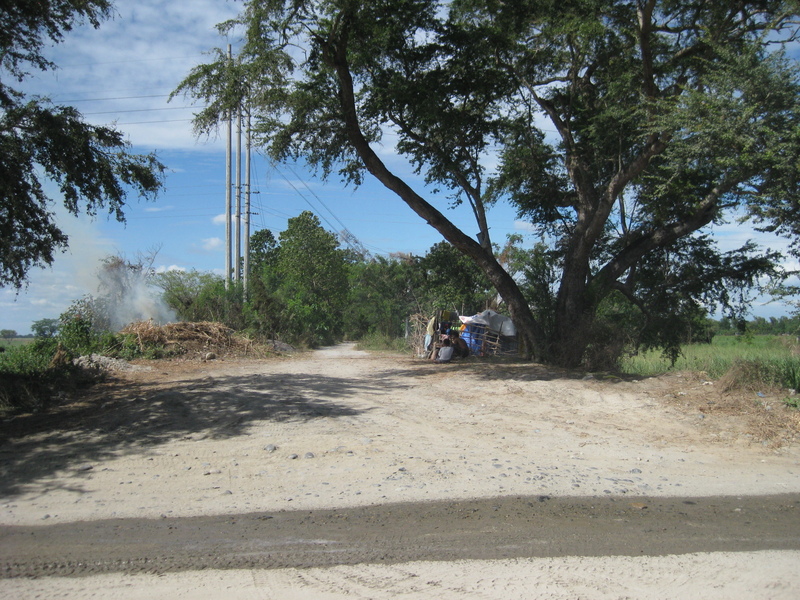 Two-way traffic along the dirt road with the tree serving as a sentinel of sorts. 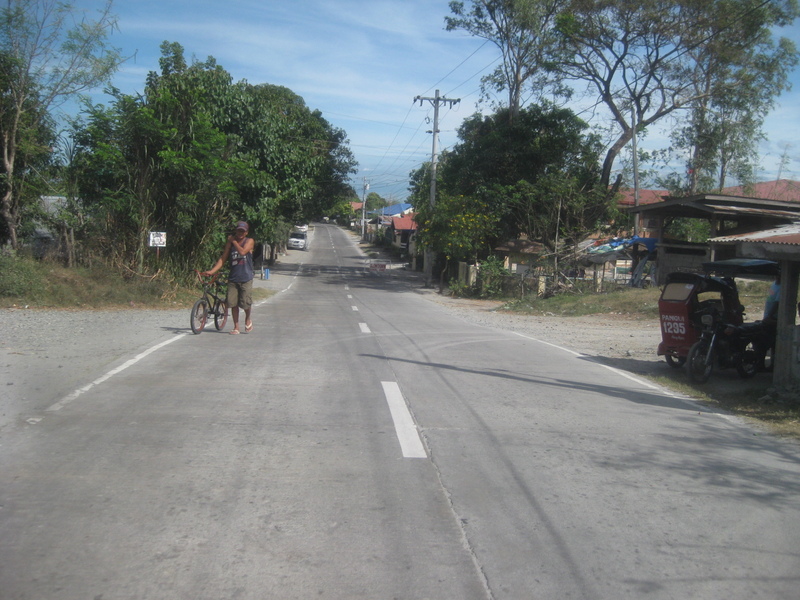 Local roads in a community along the westbound extension of the Gerona-Guimba Road (west of Gerona town proper from the junction with McArthur Highway) – the photo shows the extension as seen from a diversion road that leads travelers north towards the bridge to the town of Camiling from Paniqui. 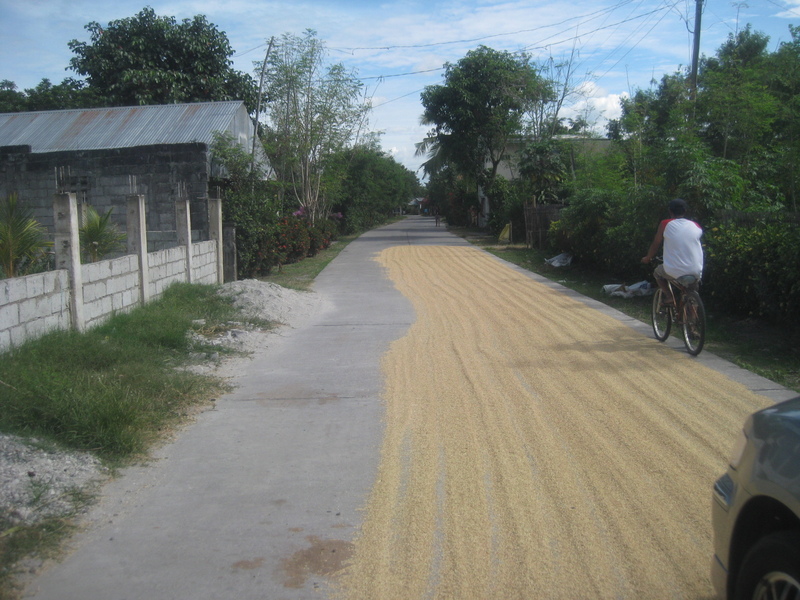 Concrete roads are used as solar driers for palay and other items (e.g., coconut husks, barbecue sticks, tingting, etc.) 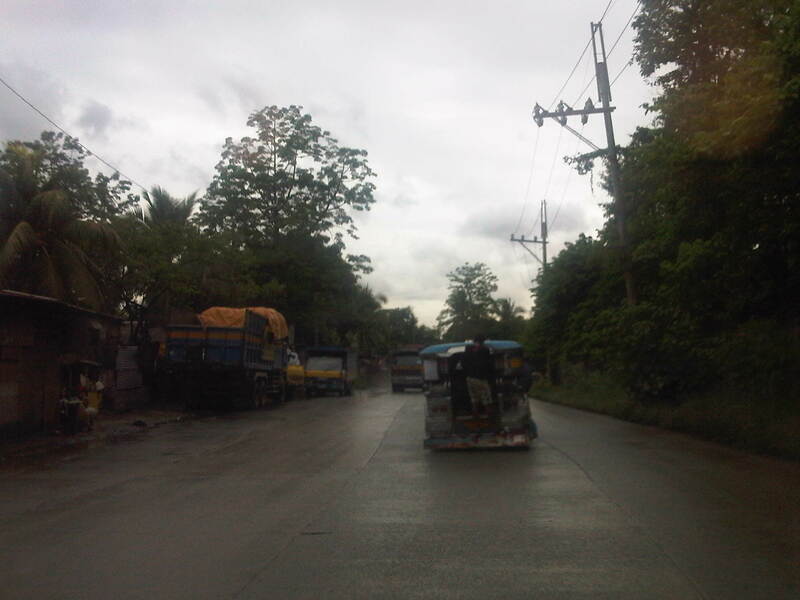 can occupy much of the road in areas where there is very low traffic during the mid-day. 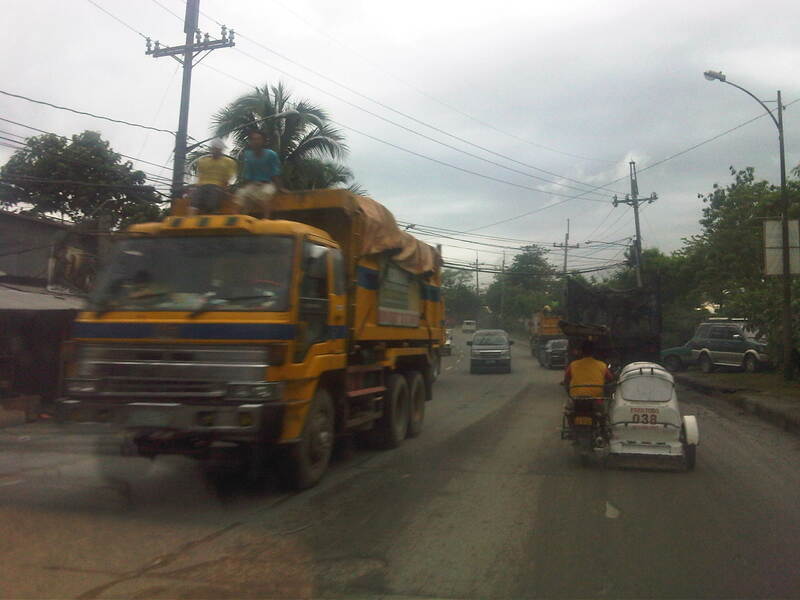 In such cases as above, motorists have no choice but to drive over the palay. 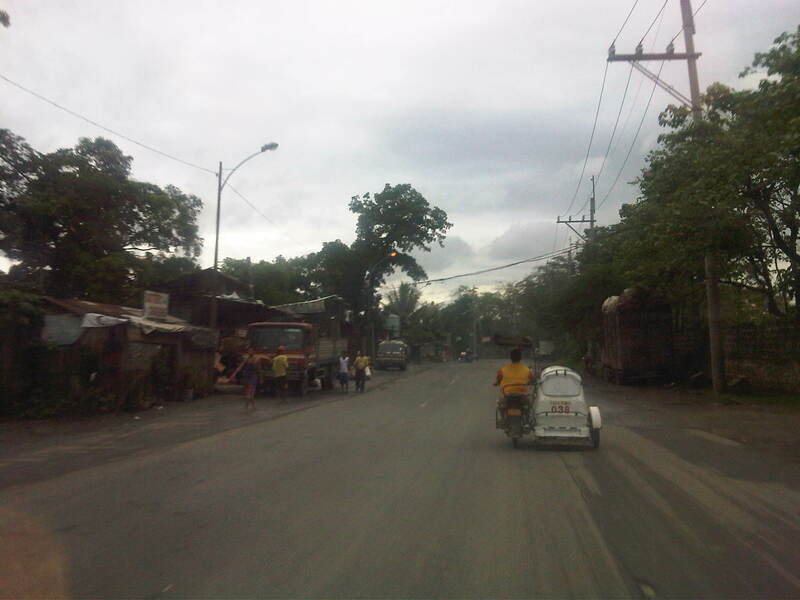 Local roads are paved and conditions are excellent but have practically no shoulders all throughout their lengths. 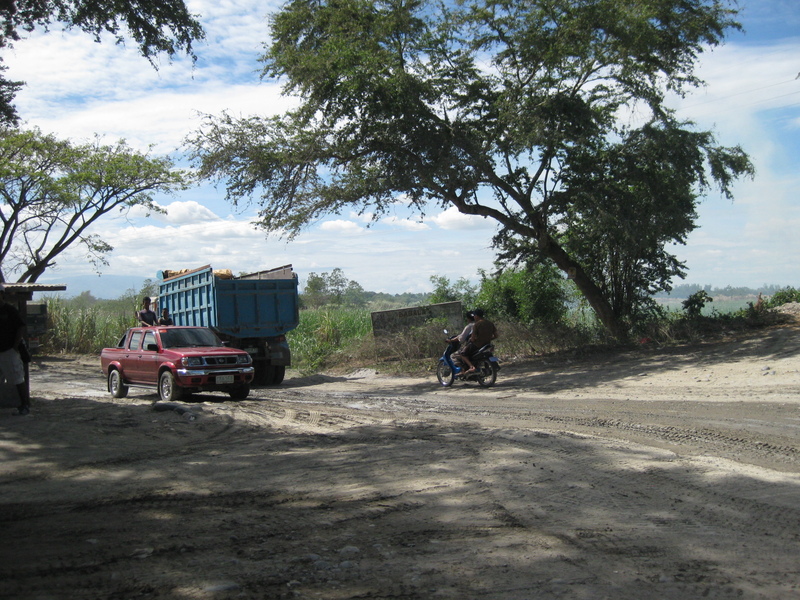 These used to be dirt roads but the local governments, likely with the assistance of the local congressman, seem committed to having them concreted. 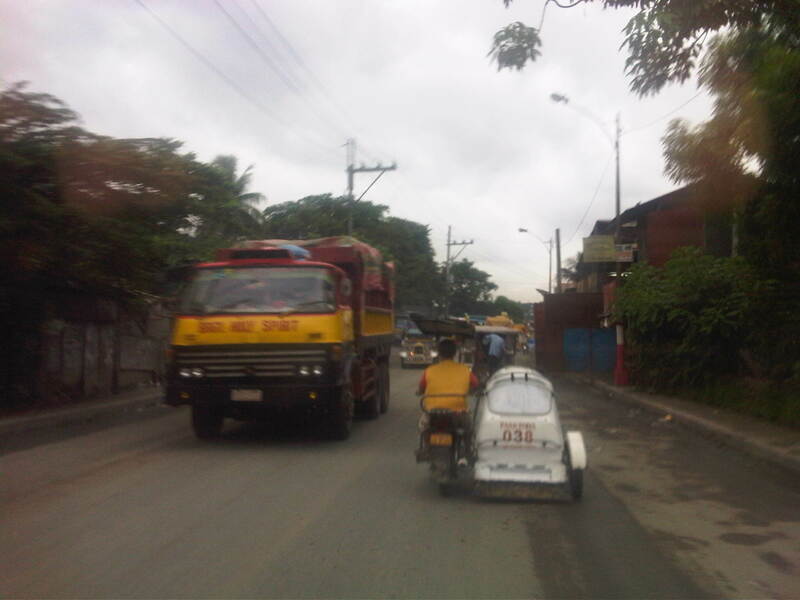 Some sections are a bit narrow and could fit two tricycles passing each other but could be a challenge with larger vehicles. 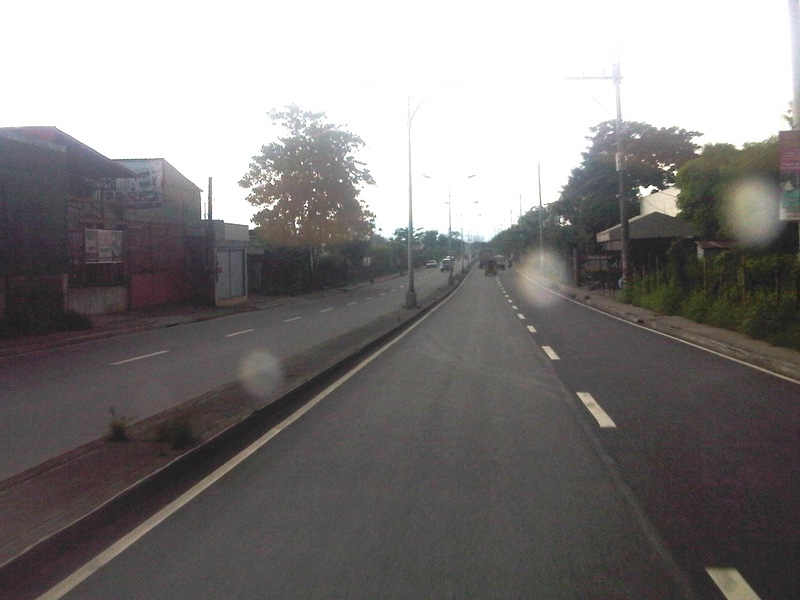 Such widths though are good enough for such low traffic volume roads. 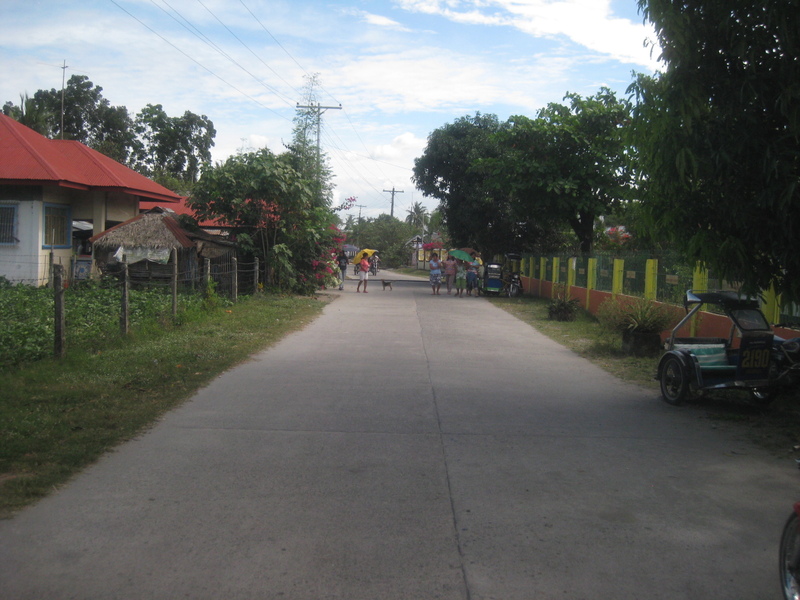 Both sides of the road are inhabited and have been planted with flowering plants (e.g., bougainvillas, santan, gumamela, etc.). Bananas are quite easy to grow and bear fruits almost immediately and productively. 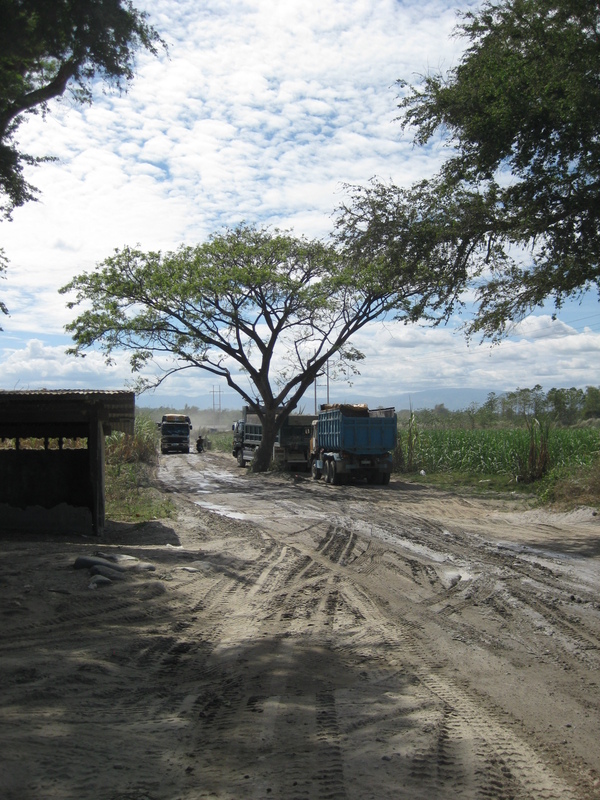 End of the paved part of the dike road – from this point, its a dirt road until just before the junction with the Paniqui-Camiling Road. The face of the dike is visible on the right side in the photo. 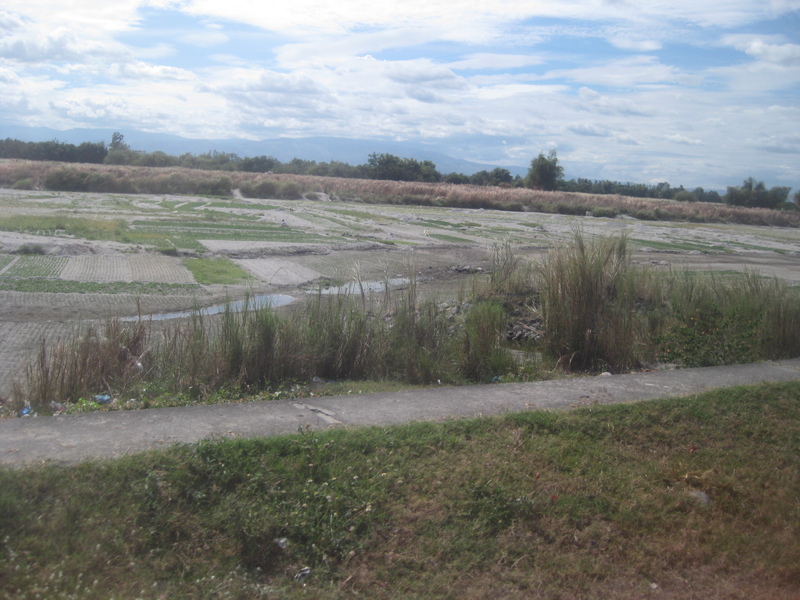 I like this photo and the previous one because they show the vastness of the Tarlac River that have been covered with lahar. 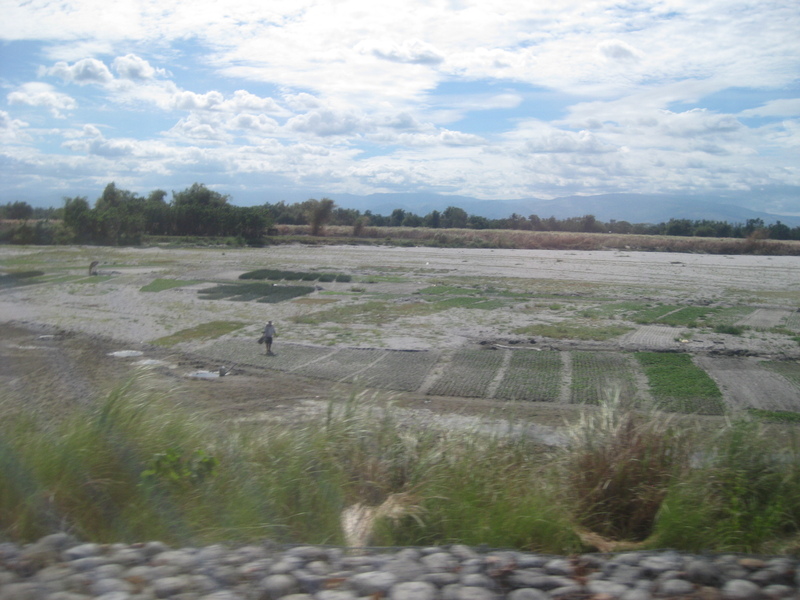 I got curious about the cultivation along the riverbed and our driver told us these were onions that were able to grow on the thin soil. Me and some colleagues decided to have an early lunch after a meeting in Manila one morning and ended up at a fried chicken restaurant at Malate along Roxas Boulevard. 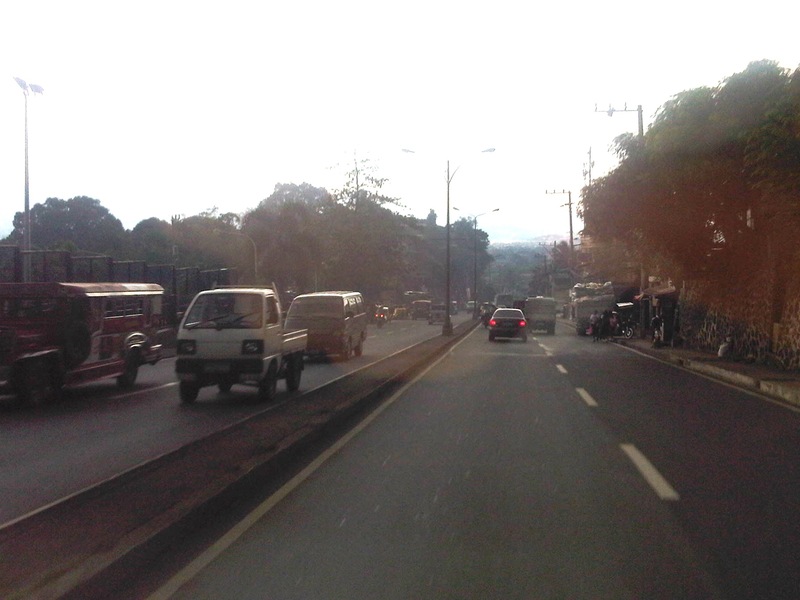 As it was still early, we were able to get choice seats with a window from across Roxas Blvd. 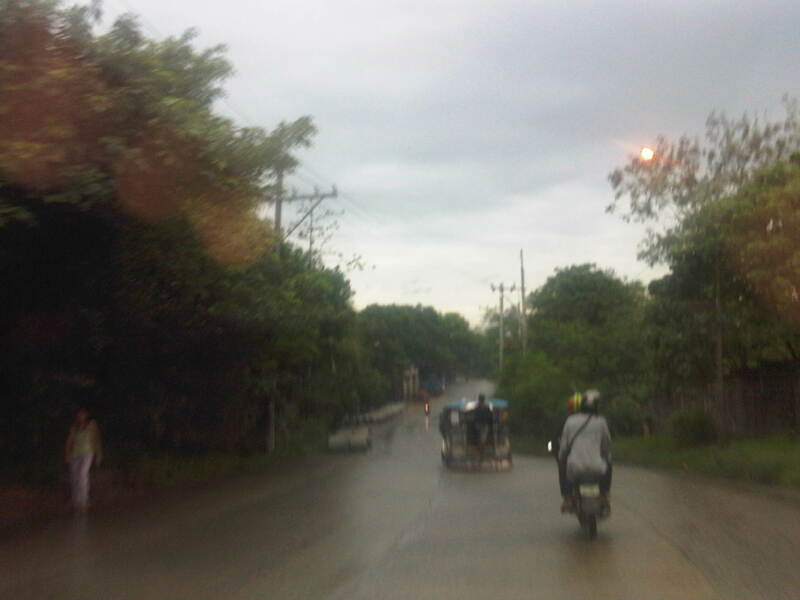 and had a clear view of the road also known as R-1 and the service road between it and the restaurant. As we were exchanging stories and making observations of traffic during a summer morning we noticed the streetlights along Roxas Blvd. and casually exchanged remarks (and laughs) for what seemed like a “showcase” for different light posts along a road that is traversed not just by citizens of this country but also visitors (i.e., tourists). 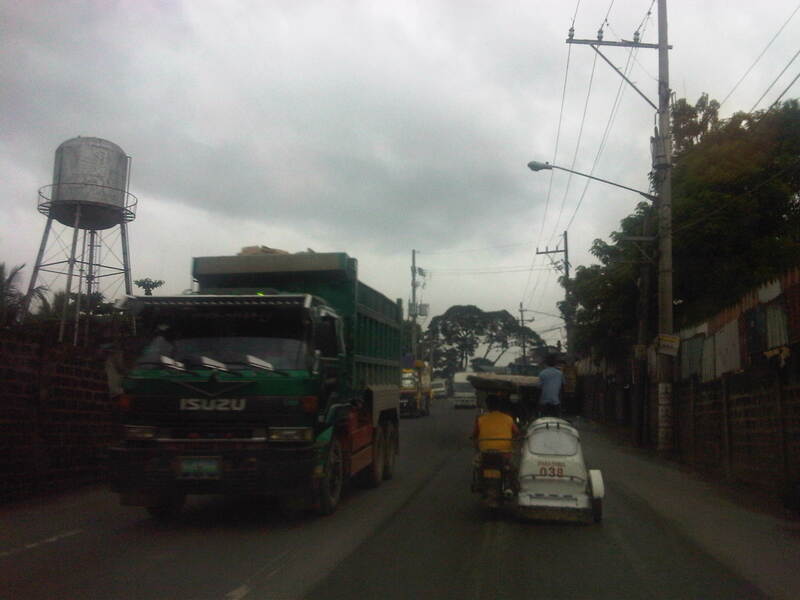 That’s the 4-lane service road along Roxas Blvd. just across from the restaurant. 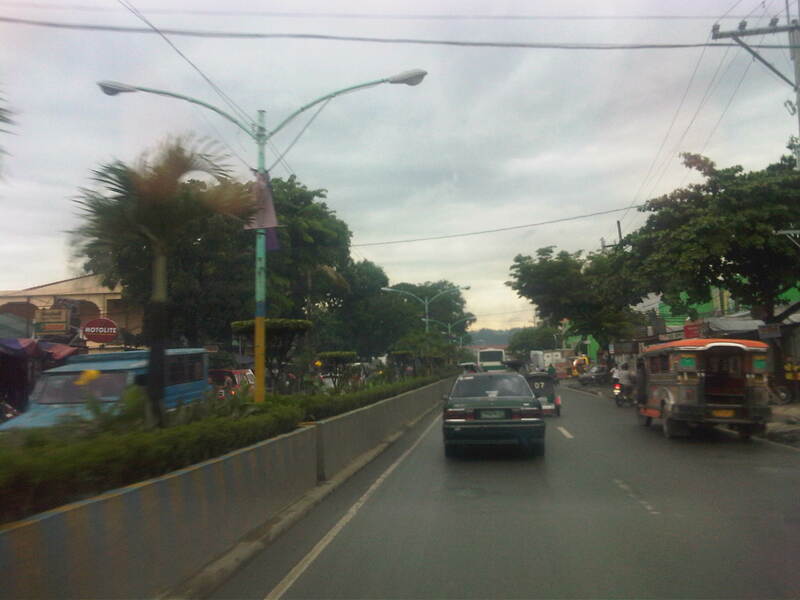 Roxas Blvd. itself is on the other side of the island with the electric post at the center of the photo. 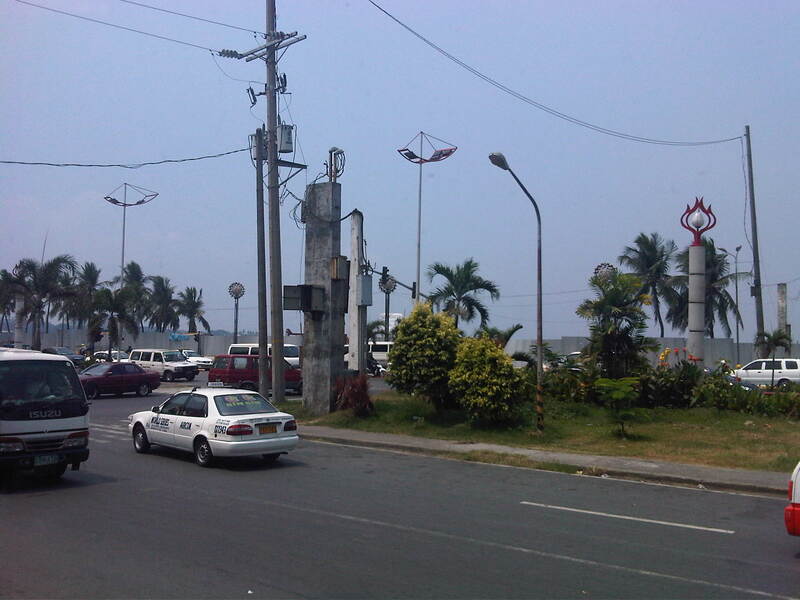 There are three streetlight designs along Roxas Boulevard, at least along the section in the City of Manila. The first one the right in the photo seems to have the atom as an inspiration. 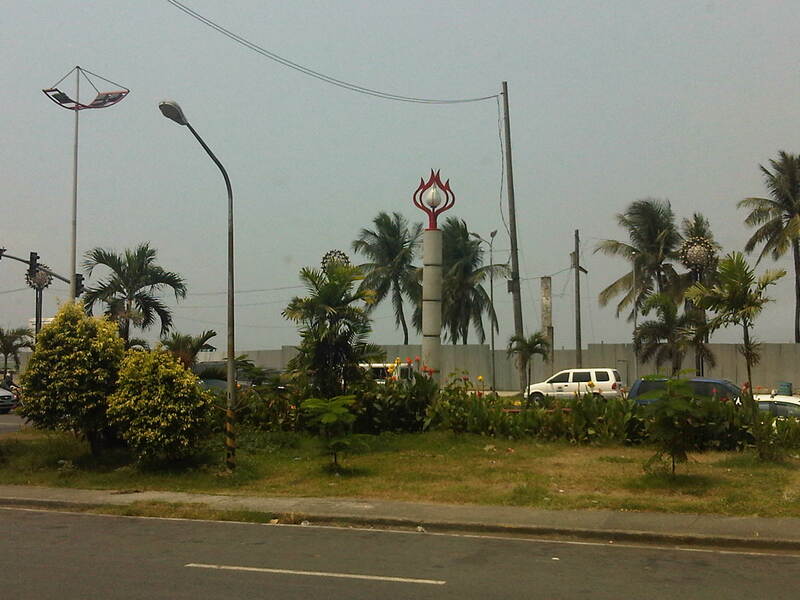 The second, at the center of the photo, looks like a torch with the flames shaped in red-colored steel. 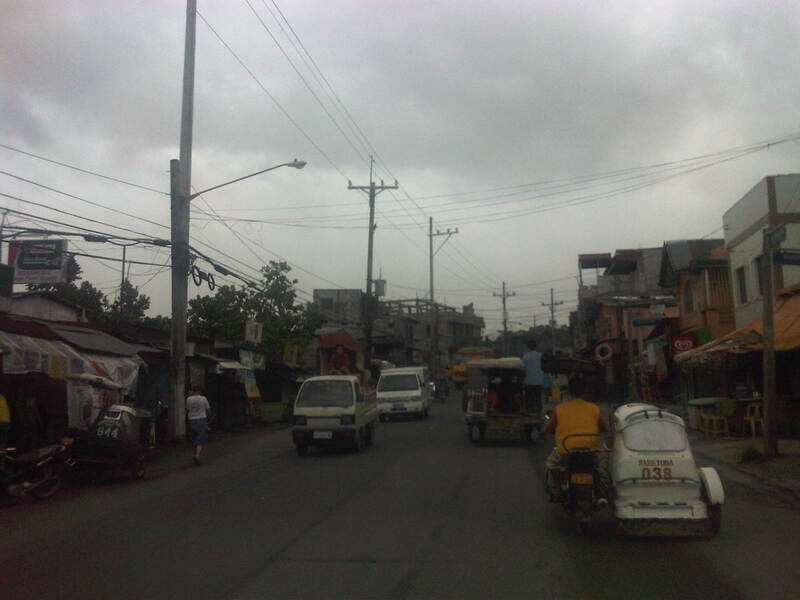 The third, on the left of the photo, looks like a swing or a hammock and is similar to the much-maligned lamps in Cebu City. 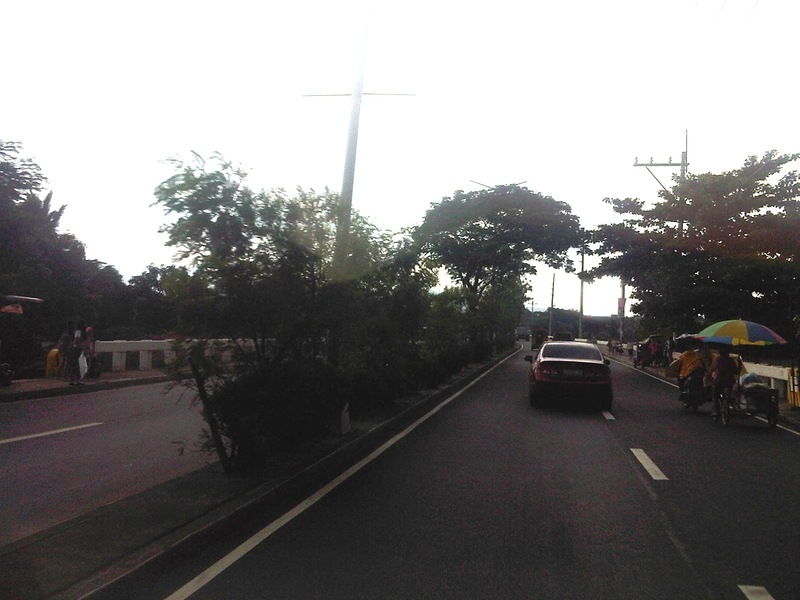 These different streetlights along Roxas Boulevard are definitely examples of folly. They are a waste of public funds and sadly has not led to the proverbial heads rolling as a result of the obvious waste of money. Moreover, there might also be a likelihood of money being pocketed by corrupt persons as is likely the case for such situations in the Philippines.